Hurricane Harvey Recovery: A renovation of 200,000 sf of the first floors of five of six buildings has reached substantial completion. The architect is AutoArch and design was completed August 2018. The construction firm is Anslow Bryant and construction began July 2018. Classes resumed in the five completed buildings for Spring 2019 with the Library building scheduled for completionand opening in April 2019. Substantial Completion: Spring 2019. Budget: $45,000,000. Student Life Renovation: A renovation of 9,583 sf in the Commons Building Level 2, this project will support student life for the college. The architect is RdlR Architects and design was completed November 2017. The construction firm is Gadberry and they began construction February 2019.Substantial Completion: Summer 2019.Budget: $840,000. LSC-East Aldine Center: A new 65,000 sf building, this project will support general curriculum studies and workforce instruction in the Aldine School District area; as well as an Early College program partnership with Aldine ISD. The architect is Texas IBI Group and design was completed December 2017. The construction firm is Bartlett Cocke General Contractors and construction began March 2018. Substantial Completion: Summer 2019. Budget: $28,940,000. South Entrance Drive Monument: A new main entrance monument, sign, and landscaping, this project will support the new Tomball South Drive Entrance completed January 2018. Discussions and a survey are in progress with TxDOT to purchase property as well as appraisals being prepared.Substantial Completion: Fall 2019. Budget: $2,650,000. LSC-Transportation & Logistics Center: A new 16,000 sf building, this project will support the growing truck driving program. The architect is PBK Architects and design was completed September 2018. The construction firm is Tellepsen and construction began February 2019. Substantial Completion: Late Fall 2019. Budget: $13,000,000. Visual Performing Arts Center: A new 40,000 sf building, this project will support an instructional arts program. The architect is Studio Red Architects and programming began May 2018. Substantial Completion: Summer 2021. Budget: $21,675,000. Student Services Building: A new 50,000+ sf building, this project will support expanded student services capabilities. The architect is Harrison Kornberg and programming began June 2018. The construction firm is Durotech, Inc. General Contractors. Substantial Completion: Spring 2021. Budget: $25,650,000. Healthcare Instructional Building: A new 50,000+ sf building, this project will support a healthcare instructional program. The architect is AutoArch and schematic design began July 2018. The construction firm is Tellepsen. Substantial Completion: Spring 2021. Budget: $27,590,000. Hurricane Harvey Recovery: A renovation of 200,000 sf of the first floors of five of six buildings has reached substantial completion. The architect is AutoArch and design was completed August 2018. The construction firm is Anslow Bryant and construction began July 2018. 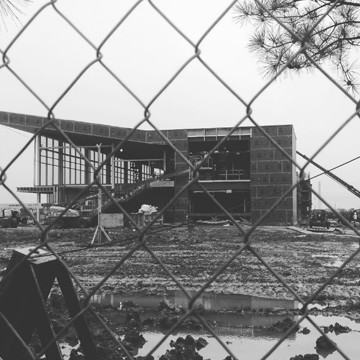 Classes resumed in the five completed buildings for Spring 2019 with the Library building scheduled for completion and opening in April 2019. Substantial Completion: Spring 2019. Budget: $45,000,000. Student Life Renovation: A renovation of 9,583 sf in the Commons Building Level 2, this project will support student life for the college. The architect is RdlR Architects and design was completed November 2017. The construction firm is Gadberry and they began construction February 2019. Substantial Completion: Summer 2019. Budget: $840,000. South Entrance Drive Monument: A new main entrance monument, sign, and landscaping, this project will support the new Tomball South Drive Entrance completed January 2018. Discussions and a survey are in progress with TxDOT to purchase property as well as appraisals being prepared. Substantial Completion: Fall 2019. Budget: $2,650,000. Transportation Institute: A new 16,000 sf building, this project will support the growing truck driving program. The architect is PBK Architects and design was completed September 2018. The construction firm is Tellepsen and construction began February 2019. Substantial Completion: Late Fall 2019. Student Services Building: A new 50,000+ sf building, this project will support expanded student services capabilities. The architect is Harrison Kornberg and programming began June 2018. The construction firm is Durotech, Inc. General Contractors. Substantial Completion: Spring 2021. Hurricane Harvey Recovery: A renovation of 200,000 sf of the first floors of five of six buildings has reached substantial completion. The architect is AutoArch and design was completed August 2018. The construction firm is Anslow Bryant and construction began July 2018. Classes resumed in the five completed buildings for Spring 2019 with the Library building scheduled for completion and opening in March 2019. Substantial Completion: Spring 2019. Budget: $53,813,494. Student Life Renovation: A renovation of 9,583 sf in the Commons Building Level 2, this project will support student life for the college. The architect is RdlR Architects and design was completed November 2017. The construction firm is pending execution of contract for construction to begin February 2019. Substantial Completion: Summer 2019. Budget: $840,000. 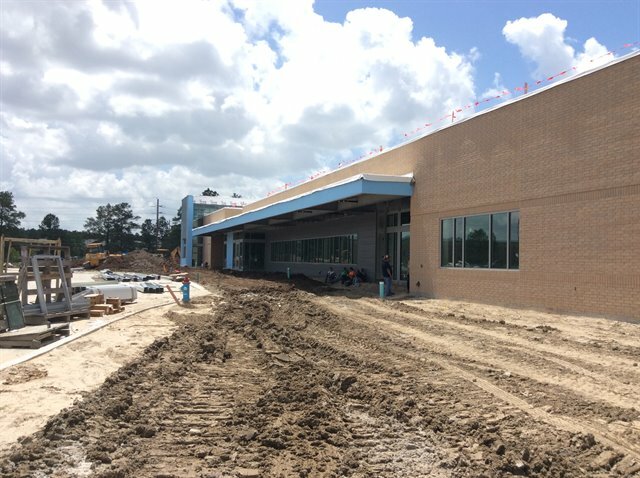 East Aldine Satellite Center: A new 65,000 sf building, this project will support general curriculum studies and workforce instruction in the Aldine School District area; as well as an Early College program partnership with Aldine ISD. The architect is Texas IBI Group and design was completed December 2017. The construction firm is Bartlett Cocke General Contractors and construction began March 2018. Substantial Completion: Summer 2019. Budget: $28,940,000. South Entrance Drive Monument: A new main entrance monument, sign and landscaping, this project will support the new Tomball South Drive Entrance completed January 2018. Discussions and a survey are in progress with TxDOT to purchase property. Substantial Completion: Fall 2019. Budget: $2,650,000. Transportation Institute: A new 16,000 sf building, this project will support the growing truck driving program. The architect is PBK Architects and design was completed September 2018. The construction firm is Tellepsen and construction is estimated to begin January 2019. Substantial Completion: Fall 2019. Budget: $13,000,000. Healthcare Instructional Building: A new 60,000 sf building, this project will support a healthcare instructional program. The architect is AutoArch and schematic design began July 2018. The construction firm is Tellepsen. Substantial Completion: Spring 2021. Budget: $27,590,000. 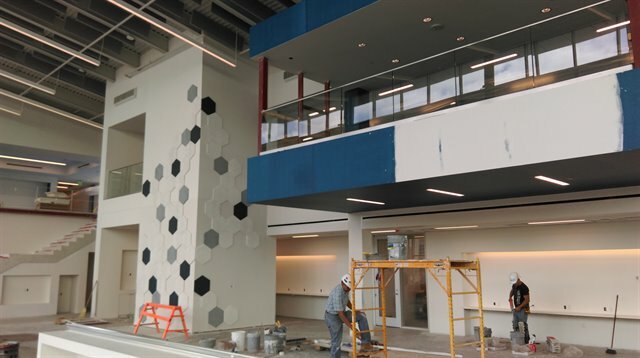 LSC-Westway Park Technology Center: A renovation of a 54,000 sf building, this project will support technology programs such as information systems and related support. The architect is BRW Architects and design was completed December 2017. The construction firm is Brookstone, L.P. and construction began April 2018. Substantial Completion: December 2018 Budget: $27,450,000. Hurricane Harvey Recovery: A renovation of 200,000 sf of the first floors of six buildings, this project will support the recovery of the main campus operations. The architect is AutoArch and design was completed August 2018. The construction firm is Anslow Bryant and construction began July 2018. For temporary accommodations, an elevator rebuild, other minor repairs required for access to level two classrooms in the Administration and Library buildings, and modular classrooms are complete and being utilized for Summer and Fall 2018 classes. Substantial Completion: December 2018 Budget: $53,813,494. Student Life Renovation: A renovation of 9,583 sf in the Commons Building Level 2, this project will support student life for the college. The architect is RdlR Architects and design was completed November 2017. The construction firm is pending execution of contract for construction to begin November 2018. Substantial Completion: Summer 2019 Budget: $840,000. LSC-East Aldine Center: A new 65,000 sf building, this project will support general curriculum studies and workforce instruction in the Aldine School District area; as well as an Early College program partnership with Aldine ISD. The architect is Texas IBI Group and design was completed December 2017. The construction firm is Bartlett Cocke General Contractors and construction began March 2018. Substantial Completion: Summer 2019 Budget: $28,940,000. South Entrance Drive Monument: A new main entrance monument, sign, and landscaping, this project will support the new Tomball South Drive Entrance completed January 2018. Discussions and a survey are in progress with TxDOT to purchase property. Substantial Completion: Fall 2019 Budget: $2,650,000. Transportation Institute: A new 16,000 sf building, this project will support the growing truck driving program. The architect is PBK Architects and design was completed September 2018. The construction firm is Tellepsen and construction is estimated to begin January 2019. Substantial Completion: Fall 2019 Budget: $13,000,000. Visual Performing Arts Center: A new 40,000 sf building, this project will support an instructional arts program. The architect is Studio Red Architects and programming began May 2018. Substantial Completion: Summer 2020 Budget: $21,675,00. Student Services Building: A new 50,000+ sf building, this project will support expanded student services capabilities. The architect is Harrison Kornberg and programming began June 2018. The construction firm is Durotech, Inc. General Contractors. Substantial Completion: Summer 2020 Budget: $25,650,000. Healthcare Instructional Building: A new 60,000 sf building, this project will support a healthcare instructional program. The architect is AutoArch and schematic design began July 2018. The construction firm is Tellepsen and construction is estimated to begin May 2019. Substantial Completion: Summer 2020 Budget: $27,590,000. 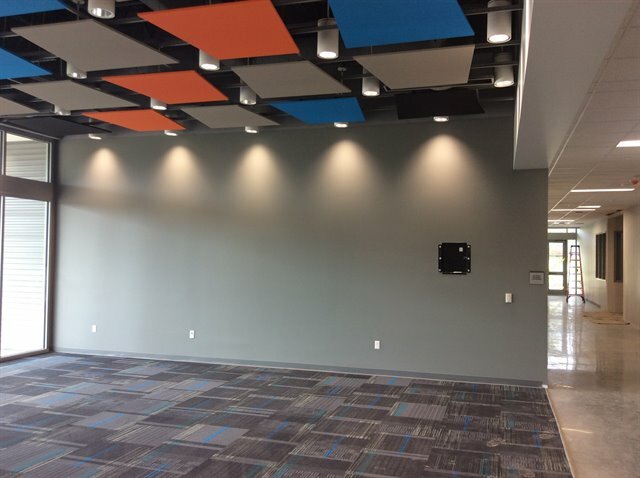 LSC-Westway Park Technology Center: A renovation of a 54,000 sf building, this project will support technology programs such as information systems and related support. The architect is BRW Architects and design was completed December 2017. The construction firm is Brookstone, L.P. and construction began April 2018. Substantial Completion: October 2018 Budget: $27,450,000. Healthcare Instructional Building: A new 60,000 sf building, this project will support a healthcare instructional program. The architect is AutoArch and schematic design began July 2018. The construction firm is Tellepsen and construction is estimated to begin May 2019.Substantial Completion: Summer 2020 Budget: $27,590,000. Student Services Building: A new 50,000+ sf building, this project will support expanded student services capabilities. The architect is Harrison Kornberg and programming began June 2018. The construction firm is Durotech, Inc. General Contractors.Substantial Completion: Summer 2020 Budget: $25,650,000. LSC-East Aldine Center: A new 65,000 sf building, this project will support general curriculum studies and workforce instruction in the Aldine School District area; as well as an Early College program partnership with Aldine ISD. The architect is Texas IBI Group and design was completed December 2017. 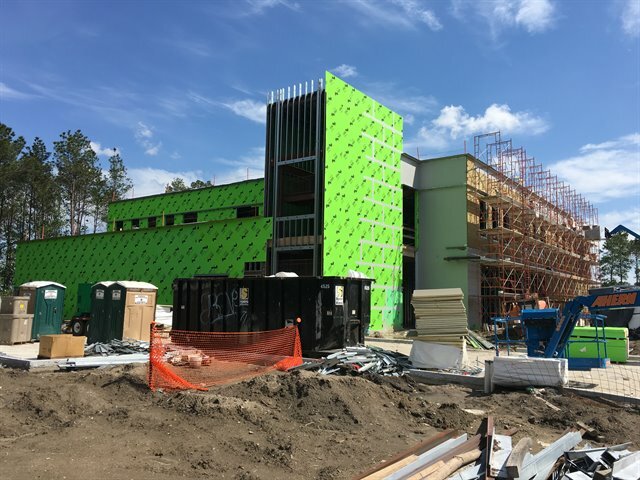 The construction firm is Bartlett Cocke General Contractors and construction began March 2018.Substantial Completion: Summer 2019 Budget: $28,940,000. Buildings 12 & 13 Entrance Canopy and Parking: A new entrance to buildings 12 and 13, this project will provide a drop off location for vehicular traffic off of Compaq Center W Drive. The architect is Kirksey Architecture and design was completed March 2016. The construction firm is E.E. Reed Construction and construction began December 2017. It opened to the public Fall 2018. Substantial Completion: August 17, 2018 Budget: $2,115,000. Visual Performing Arts Center: A new 40,000 sf building, this project will support an instructional arts program. The architect is Studio Red Architects and programming began May 2018. Substantial Completion: Summer 2020 Budget: $21,675,000. LSC-Transportation & Logisitics Institute: A new 16,000 sf building, this project will support the growing truck driving program. The architect is PBK Architects and design was completed September 2018. The construction firm is Tellepsen and construction is estimated to begin January 2019. Substantial Completion: Fall 2019 Budget: $13,000,000. A renovation of 200,000 sf of the first floors of six buildings, this project will support the recovery of the main campus operations. The architect is AutoArch and design was completed August 2018. The construction firm is Anslow Bryant and construction began July 2018. For temporary accommodations, an elevator rebuild, other minor repairs required for access to level two classrooms in the Administration and Library buildings, and modular classrooms are complete and being utilized for Summer and Fall 2018 classes. Substantial Completion: December 2018 Budget: $60,028,795. LSC-Westway Park Technology Center: A 54,000 sf renovation of an existing building, this project will support technology programs such as information systems and related support. The Board has approved the selected contractor and contract negotiations are in progress. Construction began in April and is scheduled to be completed in the fourth quarter of 2018. 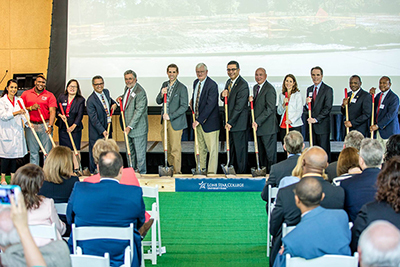 LSC-Healthcare Instructional Building: A new 60,000 sf building to be built on the Kingwood campus will support a healthcare instructional program. AutoArch has been awarded as the architects and Tellepen Builders will be the construction manager. Programming was completed and schematic design commenced in July 2018 with a planned completion of construction in the Summer of 2020. Student Services Building: A new 60,000 sf building to be built on the LSC-Montgomery campus will expand student service capabilities. Contract negotiations are in progress with the Construction Manager. The architect, Harrison Kornberg, began programming third quarter of 2018 with a planned completion of construction in the Spring of 2020. LSC-East Aldine Center: A new 65,000 sf facility located in the Aldine School District, this building will offer general curriculum studies and workforce instruction as well as an Early College program partnership with Aldine ISD. The Guaranteed Maximum Price (GMP) was approved at the March 2018 Board Meeting. A Notice to Proceed was issued in April 2018 with a Substantial Completion scheduled for Summer of 2019. Central Plant Upgrades: The maintenance replacement of an existing cooling tower and chiller are necessary to support HVAC conditioning for the campus during the peak cooling season. The contractor has been released for equipment procurement and installation in March of 2018. The project is expected to be completed in third quarter of 2018. Winship Re-roof: The maintenance replacement of the existing roof on the Winship Building is needed. The Board has approved the selected contractor. Demolition of the existing roof began in March of 2018. South Entrance Drive: Discussions are in progress with TxDot and LSC regarding the new main entrance monument sign, irrigation and landscaping. Negotiations are underway to purchase property for the sign location. The survey is in progress for the proposed location. Buildings 12 & 13 Entrance Canopy and Parking: Construction began December 2017 for a new entrance to buildings 12 & 13. The entrance will provide a drop off location for vehicular traffic off of Compaq Center W Drive. The project received Certificate of Occupancy August 17, 2018 and opened for the public for classes for Fall of 2018. Student Life Renovation, Commons Building Level 2: Based on construction plans prepared by the Architect, RdlR, proposals are being received for an interior renovation of the Student Life and Commons area in building 12. Instructional Arts Building: A new 40,000 sf building to be built on the LSC-University Park campus will support an instructional arts program. Studio Red Architects will be the design firm. Programming Kick-off commenced in May 2018 with a planned completion of construction in the Summer of 2020. LSC-Westway Park Technology Satellite Center: A 54,000 sf renovation of an existing building, this project will support technology programs such as information systems and related support. The Board has approved the selected contractor and contract negotiations are in progress. Construction began in April and is scheduled to be completed in the fourth quarter of 2018. LSC-Fairbanks Center Roofing Replacement: The maintenance replacement of the existing roof at LSC-Fairbanks Center is needed. Replacement roof was completed in August of 2018. 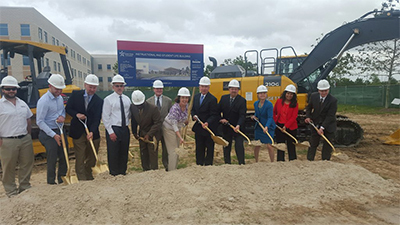 Healthcare Instructional Building: A new 60,000 sf building to be built on the LSC-Kingwood campus will support a healthcare instructional program. AutoArch has been awarded as the Architects and Tellepsen Builders will be the Construction Manager. Programming was completed and schematic design commenced in July 2018 with a planned completion of construction in the Summer of 2020. LSC-East Aldine Center: A new 65,000 sf facility located in the Aldine School District, this building will offer general curriculum studies and workforce instruction as well as an Early College program partnership with Aldine ISD. The Guaranteed Maximum Price (GMP) was approved by the March 2018 Board. A Notice to Proceed was issued in April 2018 with a Substantial Completion scheduled for Summer of 2019. Central Plant Upgrades: The maintenance replacement of an existing cooling tower and chiller are necessary to support HVAC conditioning for the campus during the peak cooling season. The contractor has been released for equipment procurement and installation in March 2018. The project is expected to be completed in third quarter of 2018. Winship Re-roof: The maintenance replacement of the existing roof at the Winship Building is needed. The Board has approved the selected contractor. Demolition of the existing roof began in March 2018. Buildings 12 & 13 Entrance Canopy and Parking: Construction began December 2018 for a new entrance to building 12 & 13. The entrance will provide a drop off location for vehicular traffic off of Compaq Center W Drive. The work should be completed in Summer of 2018. Library Remodel, Building 12 Level 8: Construction of a partial remodel of the Library on the Level eight (L8) of Building 12 began in began December 2017. OC&A is the Architect and Westway Construction Services is the Contractor. Construction reached Substantial Completion on June 1, 2018. Furniture and technology install completed and opening for Fall semester 2018. LSC-Kingwood Main Campus: CMAR contract for build back has been awarded to Anslow Bryant. Design is ongoing for the build back construction for six buildings. Elevator rebuild and other minor repairs required for access to level two (L2) classrooms in the Administration and Library buildings are complete. 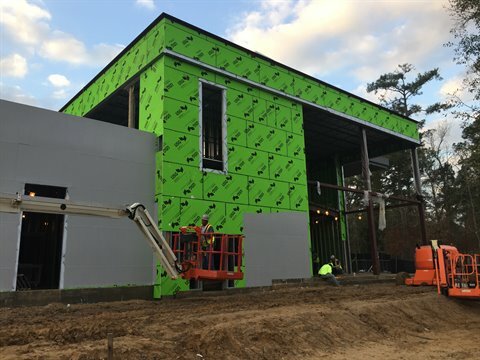 The Modular Classroom buildings are complete and are being utilized for Summer 2018 classes.Fireproofing, framing and sheetrock walls began in July 2018 with a planned opening for Spring semester 2019. LSC-Westway Park Technology Satellite Center: A 54,000 sf renovation of an existing building. This project will support technology. The Board has approved the selected contractor and contract negotiations are in progress. Construction began in April and is scheduled to be completed in the third quarter of 2018. LSC-Fairbanks Center Roofing Replacement: The maintenance replacement of the existing roof at Fairbanks Center is needed. Replacement is anticipated to be complete Summer 2018. Healthcare Instructional Building: A new 60,000 sf building to be built on the LSCV-Kingwood campus will support a healthcare instructional program. AutoArch has been awarded as the Architexts and Tellepsen Builders will be the Construction Manager. Programming Kick-off meeting commenced in March 2018 with a planned completion of construction in the Summer of 2020. LSC-East Aldine Satellite Center: A new 65,000 sf facility located in the Aldine School District, this building will offer general curriculum studies and workforce instruction as well as an Early College program partnership with Aldine ISD. The Guaranteed Maximum Price (GMP) was approved by the March 2018 Board. A Notice to Proceed was issued in April 2018 with a Substantial Completion scheduled for Summer of 2019. Central Plant Upgrades: The maintenance replacement of an existing cooling tower and chiller are necessary to support HVAC for the campus during the peak cooling season. The contractor has been released for equipment procurement and installation in March 2018. The project is expected to be completed in third quarter of 2018. South Entrance Drive: Discussions are in progress with TxDot and LSC regarding the new main entrance monument sign, irrigation and landscaping. Negotiations are underway to purchase property for the sign location. The surveying contract is in process to survey the proposed location. Library Remodel, Building 12 Level 8: Construction of a partial remodel of the Library on the Level eight (L8) of Building 12 began in began December 2017. OC&A is the Architect and Westway Construction Services is the Contractor. Construction reached Substantial Completion on June 1, 2018. LSC-Kingwood Main Campus: CMAR contract for build back has been awarded to Anslow Bryant. Design is ongoing for the build back construction for six buildings. Elevator rebuild and other minor repairs required for access to level two (L2) classrooms in the Administration and Library buildings are complete. The Modular Classroom buildings are complete and are being utilized for Summer 2018 classes. LSC-Westway Park Technology Center: A 54,000 sf renovation of an existing building, this project will support technology programs such as information systems and related support. The Board has approved the selected contractor and contract negotiations are in progress. Construction began in April and is scheduled to be completed in the third quarter of 2018. LSC-Fairbanks Center Roofing Replacement: The maintenance replacement of the existing roof at LSC-Fairbanks Center is needed. Replacement is anticipated to be complete Summer 2018. 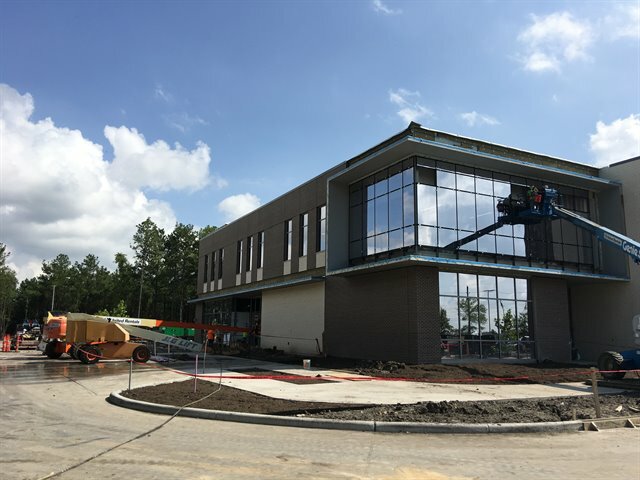 Healthcare Instructional Building: A new 60,000 sf building to be built on the LSC-Kingwood campus will support a healthcare instructional program. Contract negotiations are in progress with the Architect and Tellepsen Builders will be the Construction Manager. Programming Kick-off meeting commenced in March 2018 with a planned completion of construction in the Summer of 2020. Student Services Building: A new 60,000 sf building to be built on the LSC-Montgomery campus will expand student service capabilities. Contract negotiations are in progress with the Construction Manager. The architect, Harrison Kornberg, will begin programming second quarter of 2018 with a planned completion of construction in the Spring of 2020. South Entrance Drive: Discussions are in progress with TxDot and LSC regarding the new main entrance monument sign, irrigation and landscaping. Next step will be negotiating the surplus property that TxDot has to be purchased for the sign location. Next will be surveying the proposed location. Buildings 12 & 13 Entrance Canopy and Parking: Construction began December 2017 for a new entrance to building 12 & 13. The entrance will provide a drop off location for vehicular traffic off of Compaq Center W Drive. The work should be completed in Summer of 2018. Library Remodel, Building 12 Level 8: Construction of a partial remodel of the Library on the Level eight (L8) of Building 12 began in began December 2017. OC&A is the Architect and Westway Construction Services is the Contractor. Construction is expected to complete in May 2018. Student Life Renovation, Commons Building Level 2: Based on construction plans prepared by the Architect, RdlR, proposals are being received for an interior renovation of the Student Life and Commons area in building 12. Following Board approval of the selected contractor, completion is expected at the end of the Summer 2018. Instructional Arts Building: A new 40,000 sf building to be built on the LSC-University Park campus will support an instructional arts program. Contract negotiations are in progress with the Architect and Construction Manager. Programming for design should commence in May 2018 with a planned completion of construction in the Summer of 2020. 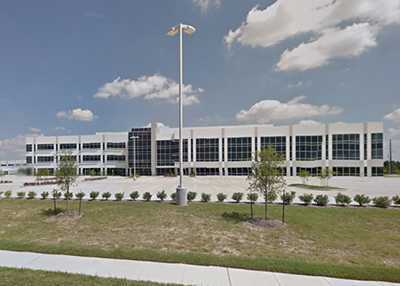 LSC-Kingwood Main Campus: CMAR contract for build back has been awarded to Anslow Bryant. Design has started for the build back construction for six buildings. Elevator rebuild and other minor repairs required for access to level two (L2) classrooms in the Administration and Library buildings are complete. Utility design for Modular Classroom buildings are complete and scheduled for installation Summer 2018. LSC-Westway Park Technology Center: A 54,000 sf renovation of an existing building, this project will support technology programs such as information systems and related support. The Board has approved the selected contractor and contract negotiations are in progress. Construction began in April 2018. LSC-Fairbanks Center Roofing Replacement: The maintenance replacement of the existing roof at Fairbanks Center is badly needed. The Board approved contractor will be replacing the roof and roof elements beginning in May 2018. Kingwood Pilot Plant: An industrial plant simulator for instructional support at the new LSC- Process Technology Center is underway and scheduled for completion in the Spring of 2018. 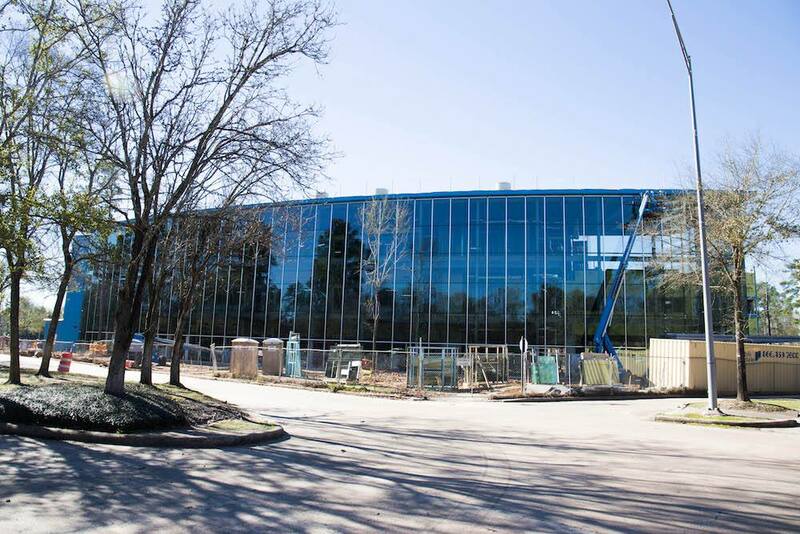 Kingwood Chiller Line Extension: Extending the chilled water lines from the Central Plant to the Performing Arts Center (PAC) was completed in March 2018. Once connected this project will move the PAC off of aging HVAC equipment and connect it to the Central Plant for more efficient and reliable HVAC service. Healthcare Instructional Building: A new 60,000 sf building to be built on the Kingwood campus will support a healthcare instructional program. Contract negotiations are in progress with the Architect and Tellepsen Builders will be the Construction Manager. Programming Kick-off meeting commenced in March 2018 with a planned completion of construction in the Summer of 2020. Student Services Building: A new 60,000 sf building to be built on the Montgomery campus will expand student service capabilities. Contract negotiations are in progress with the Architect and Construction Manager. programming for design is scheduled to commence in April 2018 with a planned completion of construction in the Spring of 2020. LSC-East Aldine Satellite Center: A new 65,000 sf facility located in the Aldine School District, this building will offer general curriculum studies and workforce instruction as well as an Early College program partnership with Aldine ISD. The Guaranteed Maximum Price (GMP) was approved by the March 2018 Board. Construction is expected to commence in April 2018. Central Plant Upgrades: The maintenance replacement of an existing cooling tower and chiller are necessary to support HVAC conditioning for the campus during the peak cooling season. The contractor has been released or equipment procurement and installation in March 2018. The project is expected to be completed in May 2018. LSC-Transportation Technology Center: To be built on a new site at Cypresswood Drive and West Hardy, this 15,000 sf facility, with driving track and skills pads, will support the existing truck driving training program. The final program has been prepared for review and approval, and PBK Architects has begun design documents for Guaranteed Maximum Price (GMP) by the Construction Manager at Risk, Tellepsen Builders. Winship Re-roof: The maintenance replacement of the existing roof at the Winship Building is badly needed. The Board has approved the selected contractor. Demolition of the existing roof began in March 2018. South Entrance Drive: The driveway project is complete and was opened for Spring semester. Discussions are in progress with the architect regarding the new main entrance monument sign, irrigation and landscaping. Buildings 12 & 13 Entrance Canopy and Parking: Construction began December 2018 for a new entrance to building 12 & 13. The entrance will provide a drop off location for vehicular traffic off of Compaq Center W Drive. he work is scheduled to be completed in May 2018. Library Remodel, Building 12 Level 8: Construction of a partial remodel of the Library on the Level eight (L8) of Building 12 began in began December 2017. OC&A is the Architect and Westway Construction Services is the Contractor. Construction is scheduled to complete in May 2018. Kitchen Renovation, Commons Building Level 1: Based on construction plans prepared by the Architect, RdlR, bids have been received for an interior renovation and modernization of the existing Kitchen. Following Board approval of the selected contractor, completion is scheduled for the end of the Summer 2018. Student Life Renovation, Commons Building Level 2: Based on construction plans prepared by the Architect, RdlR, proposals are being received for an interior renovation of the Student Life and Commons area in building 12. Following Board approval of the selected contractor, completion is scheduled for the end of the Summer 2018. Instructional Arts Building: A new 40,000 sf building to be built on the LSC-University Park campus will support an instructional arts program. Contract negotiations are in progress with the Architect and Construction Manager. Programming for design is scheduled to commence in April 2018 with a planned completion of construction in the Summer of 2020. LSC-Kingwood Main Campus: CMAR contract for build back has been awarded. Phase 2 additional detailed FEMA assessments based on requirements from FEMA inspections are complete. Design has started for the build back construction for six buildings. Elevator rebuild and other minor repairs required for access to level two (L2) classrooms in the Administration and Library buildings are underway. Utility design for Modular Classroom buildings is complete and tentatively scheduled for installation Summer 2018. LSC-Westway Park Technology Satellite Center: A 54,000 sf renovation of an existing building, this project will support technology programs such as information systems and related support. The Board has approved the selected contractor and contract negotiations are in progress. Construction mobilization to occur in March 2018. LSC-Fairbanks Center Roofing Replacement: The maintenance replacement of the existing roof at Fairbanks Center is needed. The Board has approved the selected contractor and contract negotiations are in progress. Demolition of the existing roof is anticipated to begin during Spring Break in March 2018. 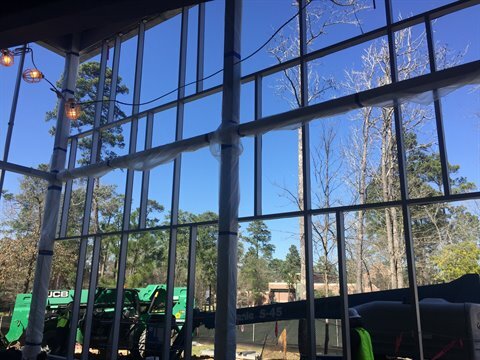 Kingwood Pilot Plant: An industrial plant simulator for instructional support at the new LSC-Process Technology Center is underway and scheduled for completion in the Spring of 2018. Kingwood Chiller Line Extension: Extending the chilled water lines from the Central Plant to the Performing Arts Center (PAC) will be completed in March 2018. Once connected this project will move the PAC off of aging HVAC equipment and connect it to the Central Plant for more efficient and reliable HVAC service. LSC-Process Technology Center: A 40,000 sf new facility located in Generation Park in north east Houston has opened for the Spring semester and will support instruction for industrial technology. 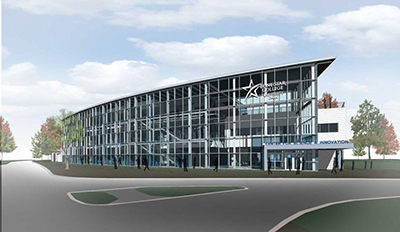 Healthcare Instructional Building: A new 60,000 sf building to be built on the LSC-Kingwood campus will support a healthcare instructional program. Contract negotiations are in progress with the Architect and Tellepsen Builders will be the Construction Manager. Programming for design should commence in March 2018 with a planned completion of construction in the Summer of 2020. Student Services Building: A new 60,000 sf building to be built on the LSC-Montgomery campus will expand student service capabilities. Contract negotiations are in progress with the Architect and Construction Manager. Programming for design should commence in April 2018 with a planned completion of construction in the Spring of 2020. LSC-East Aldine Satellite Center: A new 65,000 sf facility located in the Aldine School District, this building will offer general curriculum studies and workforce instruction as well as an Early College program partnership with Aldine ISD. The awarded Construction Manage at Risk, Bartlett Cocke, has solicited for subcontractor and suppliers proposals and has provided a Guaranteed Maximum Price (GMP) which will go to the March 2018 Board for approval. Construction is expected to commence in April 2018. Central Plant Upgrades: The maintenance replacement of an existing cooling tower and chiller are necessary to support HVAC conditioning for the campus during the peak cooling season. The Board has approved the selected contractor and contract negotiations are in progress. The project is expected to be completed in May 2018. LSC-Transportation and Logistics Center: To be built on a new site at Cypresswood Drive and West Hardy, this 15,000 sf facility with driving track and skills pads will support the existing truck driving training program. Once the final program is approved, PBK Architects will begin developing design and construction documents for Guaranteed Maximum Price (GMP) by the Construction Manager at Risk, Tellepsen Builders. Winship Re-roof: The maintenance replacement of the existing roof at the Winship Building is needed. The Board has approved the selected contractor and contract negotiations are in progress. Demolition of the existing roof is anticipated to begin during Spring Break in March 2018. LSC-Center for Science and Innovation: A 51,000 sf new facility located on the LSC-University Park campus has opened for the Spring semester 2018 and will support instruction for science related academic programs. Buildings 12 & 13 Entrance Canopy and Parking: Construction began December 2018 for a new entrance to building 12 & 13. The entrance will provide a drop off location for vehicular traffic off of Compaq Center W Drive. The work should be completed in May 2018. Library Remodel, Building 12 Level 8: Construction of a partial remodel of the Library on the Level eight (L8) of Building 12 began in began December 2017. OC&A is the Architect and Westway Construction Services is the Contractor.Construction is expected to complete in May 2018. Kitchen Renovation, Commons Building Level 1: Based on construction plans prepared by the Architect, RdlR, bids have been received for an interior renovation and modernization of the existing Kitchen. Following Board approval of the selected contractor, completion is expected at the end of the Summer 2018. Instructional Arts Building: A new 40,000 sf building to be built on the LSC-University Park campus will support an instructional arts program. Contract negotiations are in progress with the Architect and Construction Manager. Programming for design should commence in April 2018 with a planned completion of construction in the Summer of 2020. LSC-Kingwood Main Campus: CMAR contract for build back has been awarded. Phase 2 additional detailed FEMA assessments based on requirements from FEMA inspections in January and February are in progress. Design has started for the build back construction for six buildings. Elevator rebuild and other minor repairs required for access to level two (L2) classrooms in the Administration and Library buildings are underway. Utility design for Modular Classroom buildings has started. LSC-Westway Park Technology Center: Contract negotiations are in progress. Construction mobilization to begin February 2018. LSC-Fairbanks Center Roofing Replacement: Submitted for February 2018 Board approval. PRC Roofing is the recommended roofing contractor. Primary demolition work scheduled to begin during Spring Break. LSC-Kingwood Pilot Plant: Construction 70% complete. Work is scheduled for spring 2018 opening. LSC-Kingwood Chiller Line Extension: Construction began November 8, 2017. Substantial completion targeted for early March 2018. Construction is 78% complete. LSC-Process Technology Center: Substantial completion obtained November 20, 2017. Center opened for Spring 2018 semester. Student Services Building: Architect and Construction Manager at Risk (CMAR) contract negotiations are in progress. LSC-Construction & Skilled Trades Technology Center: Center opened for instruction Fall 2017 semester. Additional specialty equipment is being coordinated for installation. LSC-East Aldine Satellite Center: The project bid February 1st and the GMP is being finalized. GMP is scheduled to be presented to LSC Board April 2018. Central Plant Renovations: LSC Board approved contractor February 2018. Contract has been initiated. LSC-Transportation Institute: The final program document is circulating for approval by LSC stakeholders by February 2018. Schematic Design tentatively to begin March 2018. Winship Re-roof: LSC Board approved contractor February 2018. Contract has been initiated. Construction Notice-to-Proceed to be issued tentatively March 2018. LSC-Science and Innovation Building: Substantial Completion was achieved December 2018. 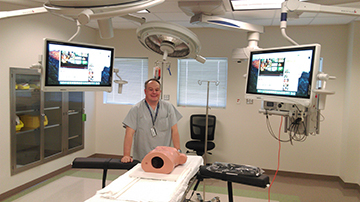 Instructional operation began Spring semester 2018. Buildings 12 & 13 Entrance Canopy and Parking: Construction began December 2018 with Substantial completion to be achieved May 2018. Library Remodel, Building 12 Level 8: Construction began December 2018 with substantial completion to be achieved May 2018. Kitchen Renovation, Commons Building Level 1: The project is in the bid phase and being prepared for March Board approval. The expected completion is the end of the summer 2018. Student Life Renovation, Commons Building Level 2: The project is in the bid phase and expected to be presented to the board for approval in March. Expected completion date is anticipated for Summer 2018. Satellite center mass communication upgrades are complete. The procurement has been put on hold until further notice. 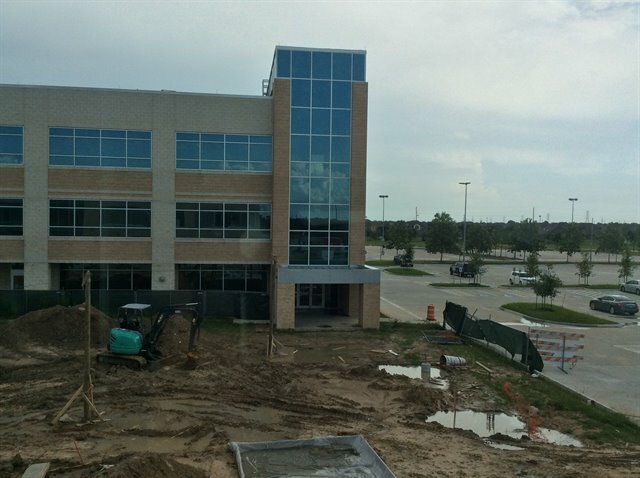 LSC-Kingwood Main Campus: Phase 1 FEMA assessments are complete. Phase 2 additional detailed FEMA assessments being prepared based on requirements from FEMA inspection in January. Design has started for the build back construction for six buildings. Design and construction efforts are underway to open up 2nd floor classrooms in the Administration and Library buildings as soon as possible. LSC-Westway Park Technology Center: Contract was awarded to Brookstone, LP at the December 7th Board meeting. Contract negotiations are in progress. Construction mobilization and submittal process are in progress. Fairbanks Center Roofing Replacement: Project bids have been received and evaluations are complete. Recommendation of the successful respondent to be requested at February Board. Primary demolition work is scheduled to commence during Spring Break. Student Services Center Expansion: The new expansion has opened for occupancy. Installation of all equipment and furniture is complete. Final punch list items are complete. Project closeout, and warranty work are underway. Kingwood Pilot Plant: Site work in progress. Scheduled for spring 2018 opening. Kingwood Chiller Line Extension: Construction began November 8, 2017. Substantial completion is targeted for early March 2018. Fire Training Facility: Architect is finishing site construction documents for placement of the facility. LSC-Process Technology Center: The project obtained substantial completion on November 20, 2017. Furniture was delivered and installed and OTS is deploying equipment. Opening of building will be in January 2018. LSC-Construction & Skilled Trades Technology Center: The project is complete and occupied, with classes being held for the current semester. 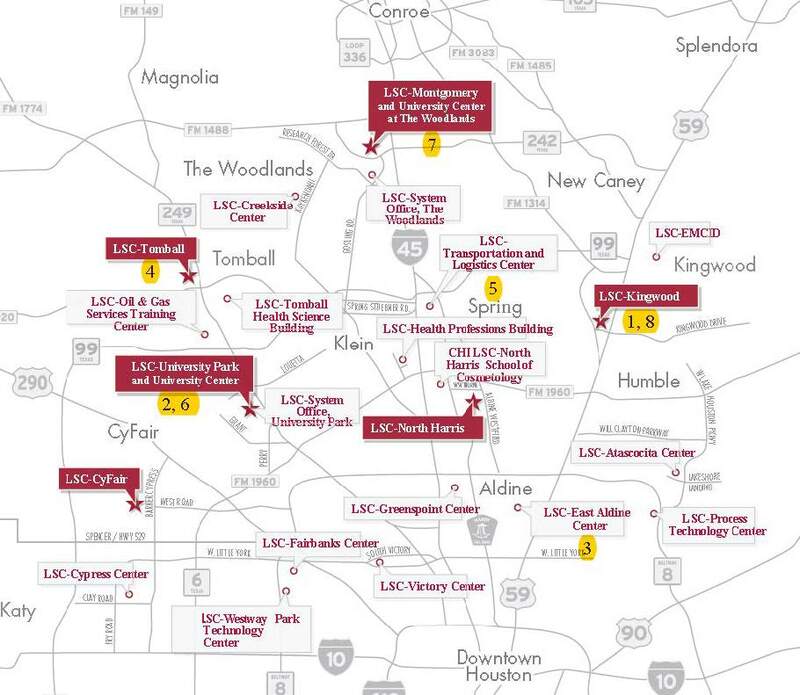 LSC-East Aldine Satellite Center: The project is currently in the bid period. A GMP will be brought to the LSC Board for action in April 2018. Central Plant Renovations: Contractor procurement is scheduled for Board approval in February 2018. LSC-Transportation & Logistics Center: A draft of the final program document is under review for approval by LSC. The target issue date was the week of December 11, 2017 for approvals. Schematic Design begins January 2018. Winship Re-roof: The project is in the bid phase with a recommendation going to the Board in February 2018. Construction NTP to be issued in March 2018. South Entrance Drive: Driveway project was completed for use prior to the start of the Spring semester. The main entrance monument sign allowance will be removed from the current contract and addressed separately. Science and Innovation Building: Substantial Completion December 2018. Instructional operation began Spring semester 2018. Buildings 12 & 13 Entrance Canopy and Parking: Construction is underway with work expected to be completed in April 2018. Library Remodel, Building 12 Level 8: Work began the 3rd week of December. The expected completion timeframe is Summer 2018. Remediation is complete. Utilities are restored to the affected buildings. The buildout of the lease space for the temporary location of the Dental Hygiene program is complete. Damage assessments for FEMA are complete. Design for the build back construction is in process. Instructional and Student Life Building - CASE: Project is complete and classes are in progress. Dedication date of the building was November 10th. LSC-Westway Park Technology Center: Competitive Seal Proposals were received October 5th. Submittal Review Committee made recommendations to the Board for approval at the December 7th Board Meeting. LSC-Fairbanks Center Roofing Replacement: Project publically advertised to be bid December 12th. Recommendation of successful respondent is slated to be made at February Board. Student Services Center Expansion: The new expansion has opened for occupancy. Installation of all equipment and furniture is complete. The site passed TAS inspection. Final punch list items, project closeout, and warranty work are underway. Kingwood Pilot Plant: Site work in progress. There are no issues at this time. This facility is slated for an expected Spring 2018 opening. Kingwood Chiller Line Extension: HCL has begun mobilizing for construction. Kickoff meeting scheduled for November 8, 2017. Substantial completion targeted for early March 2018. Fire Training Facility: Architect preparing site construction documents for placement of the facility and for pricing to formalize total project cost. Preparing bid documents for site survey. 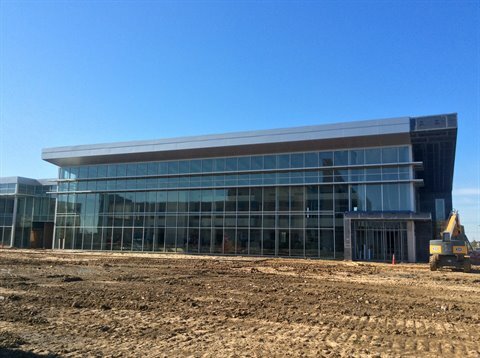 LSC-Process Technology Center: Exterior site and building envelope are 99% complete. Interior is approximately 99% complete. Site received permanent power on Monday, October 23rd. There are expected delays due to the storm to get the power and manpower for various trades. The substantial completion is dependent upon an operational monitoring system for the fire alarm. The situation is being monitored on a daily basis. A combined opening is planned for the Process Technology Center and the Kingwood Pilot Plant for January 2018. LSC-Construction & Skilled Trades Technology Center: The project is complete and occupied with classes being held for the current semester. There is additional work required by LSC to integrate the specialty equipment used as instructional aids into the building. MEP systems have been commissioned and are fully functional. LSC-East Aldine Satellite Center: Revisions to the construction documents to address code and program changes are underway. Proposal documents will be released later this month. Anticipated cost increases for the facility will need to be reviewed and approved by both Lone Star College and Aldine Independent School District. A GMP will be brought to the LSC Board for action in February or March 2018. LSC-Transportation Institute: The property has been acquired and programming completed. A draft of the final program document is under review for approval by LSC. South Entrance Drive: Driveway subgrade is 95% complete. Concrete paving work of the drive is 80% complete. The utilities and detention pond scope is 90% complete. Projected completion is December 2017. Science and Innovation Building: The building was damaged during Hurricane Harvey by rising water on the first floor. Restoration work is underway in order to allow the facility to be used for classes in January 2018. Buildings 12 & 13 Entrance Canopy and Parking: Construction has begun with work expected to be completed in April 2018. Library Remodel, Building 12 Level 8: GC selection was approved at the November Board. Work to begin the 3rd week of December. The expected completion timeframe is Summer 2018. Kitchen Renovation, Commons Building Level 1: This project is to be issued for competitive sealed proposals in November. A revised expected completion timeframe will be forthcoming. Student Life Renovation, Commons Building Level 2: CSP Proposal Documents are 95% complete. Documents to be out for proposal by the end of November. Expected completion date is anticipated for Summer 2018. LSC-Kingwood: Remediation in affected buildings is complete. Building stabilization is underway. Permanent power is being restored. Heating, ventilation and air conditioning repairs are progressing. FEMA assessments are in progress. Design has begun for the reconstruction of space in the flood-impacted buildings. Temporary classroom space – alternatives are being evaluated. Instructional and Student Life Building - CASE: Project is complete and classes are in progress. Dedication date of the building is November 10. Cypress Workforce Expansion: This project is complete and classes are in progress. Westway Park Information Technology & Visual Communications Satellite Center: Competitive Sealed Proposals are to be received October 5th. Recommendation of the successful Respondent will be made at the December 7th Board Meeting. Student Services Center Expansion: The new expansion has opened for occupancy. Installation of all equipment and furniture is complete. TAS inspection is nearing completion. Final punch list items, project closeout, and warranty work are underway. Kingwood Chiller Line Extension: Contract is being prepared for approvals for HCL Mechanical (dba The Humphrey Company) to begin work. Substantial completion targeted for early March 2018. LSC-Fire Training Facility: Architect preparing site construction documents for placement of the facility and for pricing to formalize total project cost. Preparing bid documents for site survey. 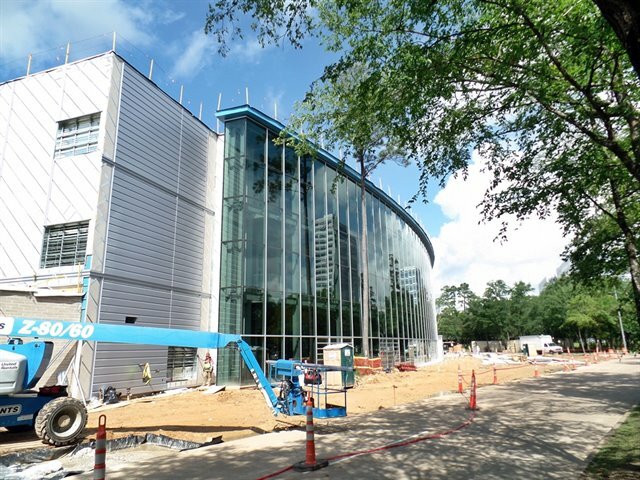 LSC-Process Technology Center: Exterior site and building envelope are 85% complete. Interior is approximately 90% complete. We are awaiting permanent power from CenterPoint. There are expected delays due to the storm to get the power and manpower for various trades. The substantial completion for the building will be shifted to early November 2017. A combined opening is planned for the Process Technology Center and the Kingwood Pilot Plant in January 2018. LSC-East Aldine Satellite Center: Revisions to the construction documents to address code and program changes are underway. Proposal documents will be released later this month. 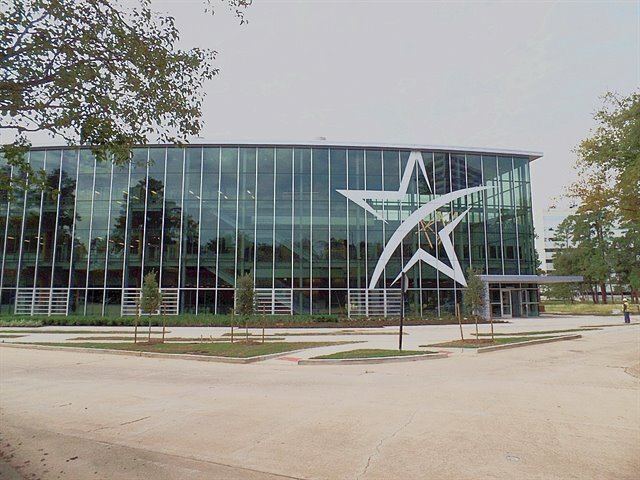 Anticipated cost increases for the facility will need to be reviewed and approved by both Lone Star College and Aldine Independent School District. A GMP will be brought to the LSC Board for action in February or March 2018. Construction is expected to extend through Fall 2019. Central Plant Renovations: The goal is to have proposals for Board approval in February 2018 and complete the work no later than May 2018. LSC Transportation & Logistics Institute: The property has been acquired and programming completed. A draft of the final program document is under review for approval by LSC. South Entrance Drive: Driveway subgrade is 85% complete. Concrete paving work of the drive is 35% complete. The projected completion continues to be early December 2017. Science and Innovation Building: The building was damaged during Hurricane Harvey by rising water on the first floor. Repair and replacement work continues in numerous areas. The punch list items in non-affected areas are being addressed and close-out documents are being collected. Buildings 12 & 13 Entrance Canopy and Parking: The contract amendment with the CMAR will be considered by the Board of Trustees in November. If approved, construction will commence within a few weeks. Library Remodel, Building 12 Level 8: This project has been issued as a Competitive Sealed Proposal (CSP) #501. Proposals have been received and evaluations are complete. The expected completion timeframe is Summer 2018. Kitchen Removal, Commons Building Level 1: This project is to be issued for competitive sealed proposals in October. A revised expected completion timeframe will be forthcoming. Student Life Renovation, Commons Building Level 2: CSP Proposal Documents are 70% complete. Preliminary pricing for construction is complete. Expected completion date is anticipated for Summer 2018. 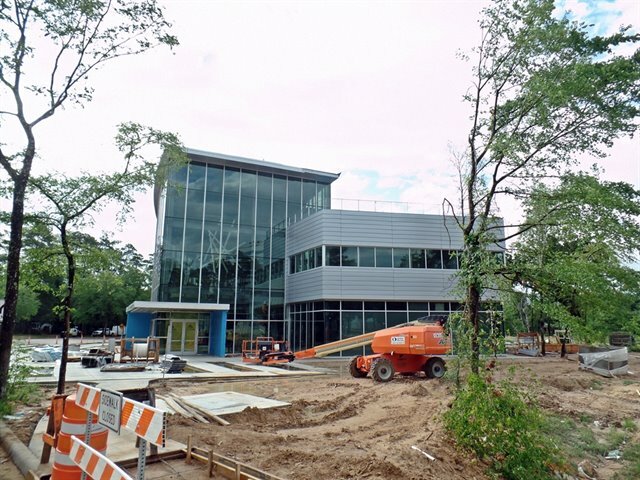 LSC-Kingwood Main Campus: Remediation in affected buildings is complete. Building stabilization is underway. Permanent power has been restored. Heating, ventilation and air conditioning repairs are progressing. Design has begun for the reconstruction of space in the flood-impacted buildings. Lease Space – Design work is underway. Instructional and Student Life Building - CASE: Project is complete and classes started September 5th in the new facility. Exterior landscape is complete. A ribbon cutting date is pending. 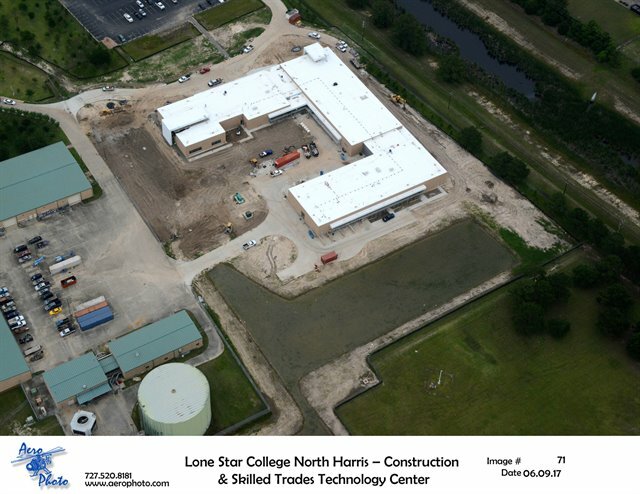 LSC-Cypress Workforce Expansion: This project is complete and classes started September 5th. The project did experience some water damage related to Harvey, but cleanup is completed and sources of leaks addressed prior to starting classes. LSC-Westway Park Technology Center: The project was advertised for competitive bidding August 24th. A mandatory pre-bid walk through was conducted September 18th. Competitive Sealed Proposals are to be received October 5th. Recommendation of the successful Respondent will be made at the December 7th Board Meeting. Student Services Center Expansion: Installation of all equipment and furniture is complete. TAS inspection is complete some adjustments are needed based on the inspection. Waiting for final report to ddress them. Final punch list items, project closeout, and warrantee work are underway. Damage as a result of the hurricane was minimal. Kingwood Pilot Plant: Notice to Proceed (NTP) was issued and the Contractor is now working on the site. This facility is slated for an expected Spring 2018 opening. 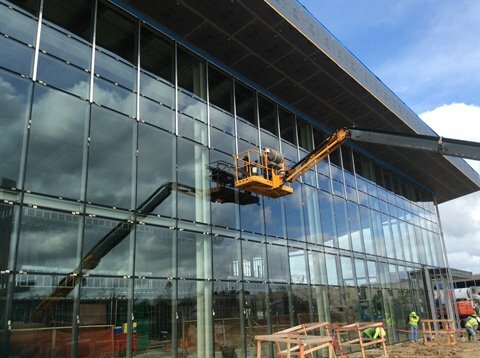 LSC-Process Technology Center: Exterior site and building envelope are 85% complete. Interior is approximately 80% complete. The site does not have permanent power yet. There are expected delays due to the storm to get the power and for labor for various trades. The substantial completion for the building will be shifted from September to early November 2017. A combined opening is planned for the LSC-Process Technology Center and the Kingwood Pilot Plant in January 2018. Construction & Skilled Trades Technology Center: The project is complete and occupied with classes being held for the current semester. There is additional work required by LSC to integrate the specialty equipment used as instructional aids into the building. MEP systems have been commissioned and are fully functional. LSC-East Aldine Satellite Center: Revisions to the construction documents to address code and program changes are underway. Bid documents will be released later this month. Anticipated cost increases for the facility will need to be reviewed and approved by both Lone Star College and Aldine Independent School District. A GMP will be brought to the LSC Board for action in February or March 2018. Construction is expected to extend through Fall 2019. Relocate Electrical Service Underground: The project has been completed. Central Plant Renovations: The scope of work is being reconsidered by campus facilities. There is consideration to replace a different chiller. A redesign fee proposal has been received and is under review. LSC-Transportation & Logistics Center: The property has been acquired and programming completed. A draft of the final program document is under review for approval by LSC. South Entrance Drive: Excavation progress continues with the detention pond. Storm utility work continues. Recently installed storm lines tying into HCTRA’s main roadway system did prevent major flooding into Tomball’s main campus. Driveway subgrade stabilization is in progress. Concrete paving work of the drive has started. The projected completion continues to be early December 2017. Science and Innovation Building: The building was damaged during Hurricane Harvey by rising water on the first floor. Repair and replacement work has now started in numerous areas. The punch list items in non-affected areas are being addressed and close out documents collected. Occupancy is expected to occur January 2018. Buildings 12 & 13 Entrance Canopy and Parking: The contract amendment with the CMAR is planned to be presented to the November Board. If approved, construction will commence within a few weeks. Student Life Renovation, Commons Building Level 2: CSP Bid Documents are 70% complete. Preliminary pricing for construction is complete. Expected completion date is anticipated for Summer 2018. 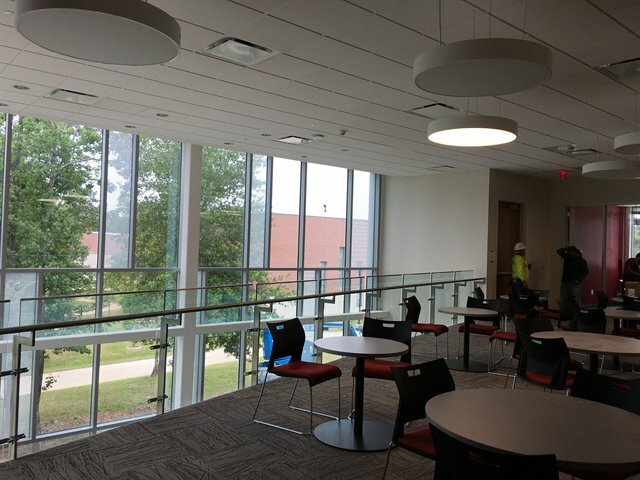 Center for Academic and Student Affairs: Instructional and Student Life Building: This project has received a Certificate of Occupancy from the Fire Marshal. Test and balancing of the project portion of the Central Plant water system converging with the existing campus system is complete. Movable furniture and technology connections are complete, tested, and ready for use. The project is substantially complete with classes starting in new classrooms. Exterior landscape and hardscape is near completion. Ribbon cutting is slated for September 18, 2017. LSC-Cypress Center Workforce Expansion: This project has received a Certification of Occupancy from the Fire Marshal and the substantial completion certificate has been issued for the project. Installation of lab tables and furniture is complete. A/V equipment is functional and tested. LSC-Westway Park Technology Center: Project proposal documents are now updated and complete. Student Services Center Expansion: The new expansion has opened for occupancy. Installation of all equipment and furniture is complete. White boards for study rooms have a pending purchase order. Graphics have been installed and the accessibility inspection is pending. Final punch list items and project closeout are underway. Kingwood Pilot Plant: Preconstruction services are complete. Final price and scope negotiations for the Guaranteed Maximum Price (GMP) proposal have been approved. Notice to Proceed (NTP) has been issued and the Contractor is mobilizing. This facility is slated for an expected Spring 2018 opening. 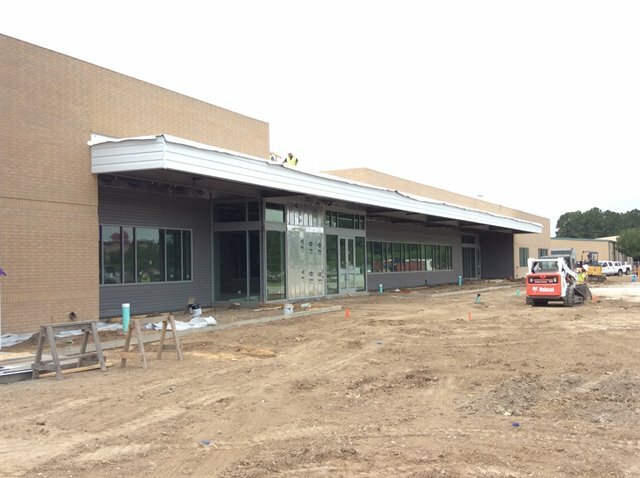 LSC-Process Technology Center: Exterior masonry is complete and window installation is continuing. Interior wall prime and paint have started. Mechanical equipment has been delivered and installation is underway. The electrical duct bank is complete and irrigation has started. The north drive and turn lane are in progress along with the furniture and equipment orders. This project is due to be substantially complete by late-August 2017. A combined opening is planned for the Process Technology Center and the Kingwood Pilot Plant in January 2018. Live Entertainment Technology Building: The building is complete and we are gathering close out documentation. There was a opening held Aug. 24, 2017. Construction & Skilled Trades Technology Center: The project was substantially complete on July 7, 2017. Punch lists have been issued and are being addressed by the Construction Manager at Risk (CMAR). Close out is underway. Equipment training for the LSC facilities personnel has been completed. The campus occupied the building August 21, 2017. East Aldine Satellite Center: Finalization of the construction documents to address code and program changes will commence upon approval of an amendment to the architect’s contract. Anticipated cost increases for the facility will need to be reviewed and approved by both Lone Star College and Aldine Independent School District. A GMP will be brought to the LSC Board for action in February or March 2018. Construction is expected to extend through Fall 2019. Relocate Electrical Service Underground: Grounds repairs are complete and the contract is being closed out. Central Plant Renovations: The scope of work is being reconsidered by campus facilities. Revisions, if any, should be established soon and the project will be sent to Purchasing for procurement. 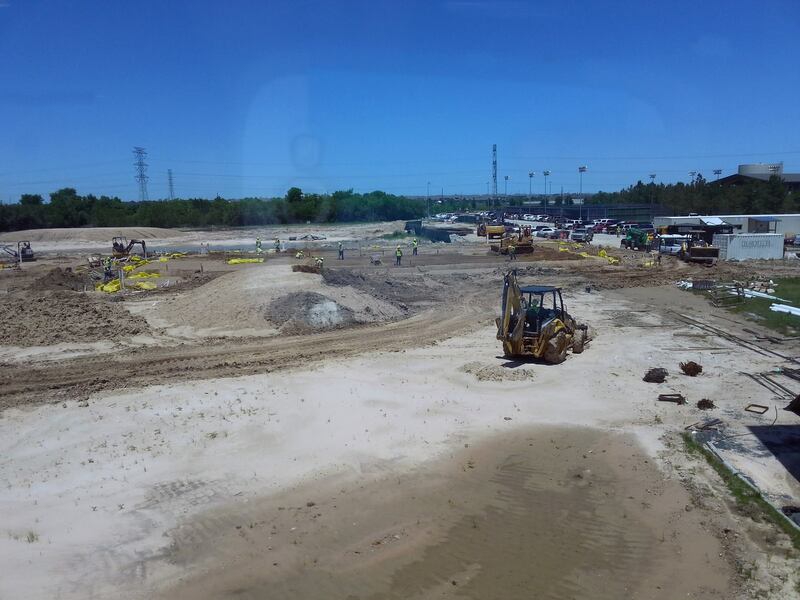 South Entrance Drive: Lazer Construction Company continues with excavation of the detention pond. Storm utility work is in progress with this project’s storm lines tying into HCTRA’s main roadway storm system. Driveway subgrade earthwork is in progress with stabilization to start soon. The projected completion is early December 2017. Science and Innovation Building: The building is now connected with water and sanitary services. Substantial completion is expected to be achieved by September 15th. Stone is being prepared for the rock wall installation and systems within the facility are undergoing final testing. The building is expected to be in full use beginning the Spring semester of 2018. Buildings 12 & 13 Entrance Canopy and Parking: The traffic study has been approved and the Construction Manager at Risk (CMAR) contract is being reviewed. Library Remodel, Building 12 Level 8: This project has been issued as a Competitive Sealed Proposal (CSP) #501. Proposals have been received and evaluations are in process. The revised expected completion timeframe is Summer 2018. Kitchen Removal, Commons Building Level 1: This project is to be issued for competitive sealed proposals in August. A revised expected completion timeframe will be forthcoming. Student Life Renovation, Commons Building Level 2: Design Development drawings and preliminary pricing are underway. Expected completion date is anticipated for summer 2018. Satellite center mass communication upgrades are complete. Security and mass notification upgrades at main campuses will be procured and contracted in two phases. The procurement has been put on hold until further notice. Instruction and Student Life Building: Final finishes of corridors and high traffic areas are nearing completion. Security and Audio Visual testing of systems are complete. All connectivity is complete including fire alarm, building automation, and data communications. Test and balancing of the project portion of the Central Plant water system converging with the existing campus system is in progress. Computer and technology installations are well underway. Interior graphics and exterior signage are nearing completion. Movable furniture installation and final technology hook-ups are complete. The project is due to be substantially complete by end of July, 2017. Cypress Center Workforce Expansion: Exterior masonry and window installation are complete. Interior finishes are complete. Conditioned air is now in control and permanent power at all spaces is complete. Existing renovated spaces are complete. Furniture for the project is due to arrive for delivery in late July. The project is still tracking to be substantially complete by the first of August 2017. LSC-Westway Park Technology Center: Project bid documents are now being updated and the advertisement process for rebidding will start in mid-July. A revised expected completion timeframe is forthcoming. Student Services Center Expansion: The New Expansion has opened for occupancy.Installation of all equipment and furniture is complete. White boards for study rooms are being purchased. Graphics and TAS inspection are pending. Final punch list items and project closeout are underway. Kingwood Pilot Plant: Pre-construction services are complete. Final price and scope negotiations for the Guaranteed Maximum Price (GMP) proposal have been submitted for LSC approval. This facility is slated for an expected Spring 2018 opening. LSC-Process Technology Center: Exterior masonry is complete. Window installation is continuing. Interior wall prime and paint have started. Mechanical equipment delivered and installation are underway. Electrical duct bank is complete, irrigation has started. North drive and turn lane are in progress. Furniture and equipment orders are in progress. Project is due to be substantially complete by late August, 2017. Live Entertainment Technology Building: Delivery of remaining specialty equipment and furniture is scheduled. Commissioning will be complete in July. LSC-Construction & Skilled Trades Technology Center: Exterior and interior building work is substantially complete. Final cleaning and punch list work is in progress. Final site work (grading, sidewalks and landscape) is nearing completion. Construction is expected to be substantially complete by early July, 2017. East Aldine Satellite Center: The construction drawings are being finalized for distribution to bidders. Following the conclusion of the bid process, a revised guaranteed maximum price (GMP) contract is expected to be presented to the Board of Trustees for consideration of approval in November or December 2017. Construction for the East Aldine Satellite Center and AISD Early College Facility is expected to be complete in the summer of 2019. Central Plant Renovations: The scope of work is being reconsidered by campus facilities. Revisions, if any, should be established soon and the project sent to Purchasing for procurement. Transportation Institute: The property has been acquired and programming completed. A draft of the final program document is under review for approval. South Entrance Drive: Lazer Construction Company has commenced clearing, grubbing and tree removal operations. Soil testing has taken place at the detention pond location and sampled spoils are acceptable to HCTRA to be used as fill material for the SH 249 expansion. First major focus of activity will be the detention pond excavation. CenterPoint overhead and underground work are complete. 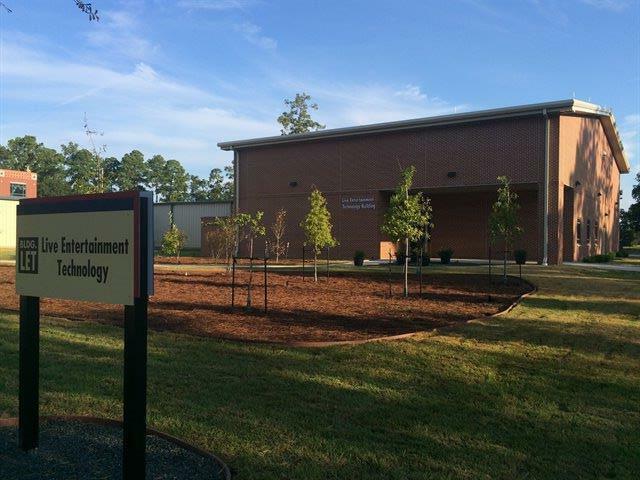 Science and Innovation Building: The local municipal utility district’s (MUD) work is complete and services have been supplied to the building. The facility is now undergoing testing and commissioning. Furniture has been delivered. Construction of the geological wall exhibit will soon commence. The building is expected to be in full use beginning spring semester of 2018. Buildings 12 & 13 Entrance Canopy and Parking: Construction is about to resume and is projected to be complete before the end of the 2017. Library Remodel, Building 12 Level 8: Project has been issued for competitive proposals in June. The revised expected completion timeframe is summer 2018. Kitchen Removal, Commons Building Level 1: Project to be issued for competitive proposals in July. A revised expected completion timeframe will be forthcoming. Student Life Renovation, Commons Building Level 2: Schematic Design Drawings are expected for review early July. Expected completion date is anticipated for summer 2018. Satellite center mass communication upgrades are complete. Security and mass notification upgrades at main campuses will be issued for proposals and contracted in two phases. The proposal has been put on hold until further notice. Center for Academic and Student Engagement Building: Completed room finishes in all areas of the building. Security and Audio Visual testing of systems is complete. Elevator communications connectivity is now complete awaiting State inspection. Permanent gas service is functional. Testing, balancing and commissioning of all mechanical, electrical and plumbing systems are final. Fire alarm testing has been conducted with the final Fire Marshal walk through slated for the end of this month. Movable furniture installation and final technology hookups are finished. Project is due to be substantially complete by July 5, 2017. 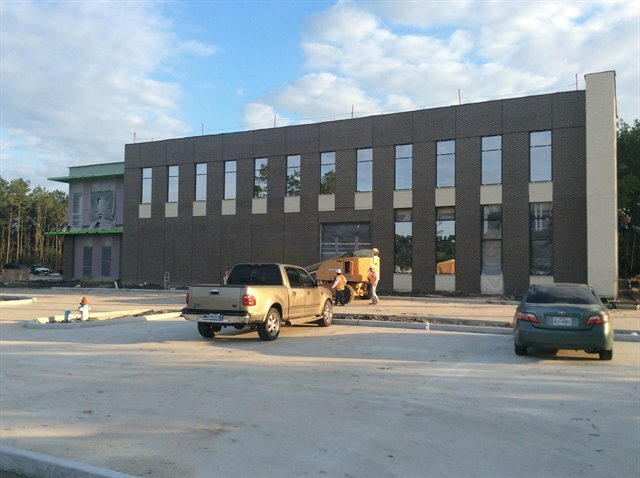 LSC-Cypress Center Workforce Expansion: Exterior masonry and window installation are complete. Interior finishes have started and are progressing. Conditioned air and permanent power are functional in all spaces. Furniture for the project is still on track for delivery.Project is still tracking to be substantially complete by mid-August 2017. LSC-Westway Park Technology Center: Project bid documents are now updated and the advertisement process for rebidding has started. A revised expected completion timeframe is forthcoming. Student Services Center Expansion: Certificate of Occupancy obtained. Substantial completion has been issued. Furniture is installed. Equipment installation is underway. Contractor is completing punch list items. Final installation of building items arriving late will occur at end of May, and AV installation in early June. Kingwood Pilot Plant: Preconstruction services complete. Final price and scope negotiations for the Guaranteed Maximum Price (“GMP”) proposal submitted for LSCS approval. This facility is slated for an expected Spring 2018 opening. LSC-Process Technology Center: Exterior framing, sheathing, and waterproofing complete, brick installation in progress. Roofing nearing completion. Interior wall framing complete, one side walls complete. Door frames installed. Mechanical, electrical and plumbing (“MEP”) is progressing and working to incorporate functional modifications to select areas. Furniture bids reviewed and a vendor is selected. Utility service to the site is currently underway. Project is due to be substantially complete by late-August 2017. Live Entertainment Technology Building: Obtained a certificate of occupancy. Specialty equipment is being delivered. The general contractor is addressing a few outstanding items. 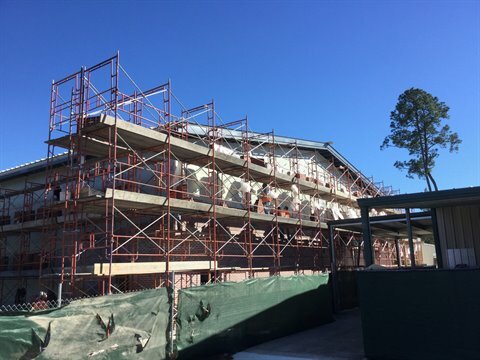 Construction & Skilled Trades Technology Center: Exterior soffit plaster is in progress. Interior floor, ceiling and wall finishes are in progress. Final sitework (grading,sidewalks and landscape) is in progress. Construction is expected to be substantially complete by early July 2017. LSC-East Aldine Center: Architectural drawings for both the East Aldine Satellite Center and the Aldine Independent School District (“AISD”) Early College need to be completed and rebid. Following the conclusion of the bid process, a revised guaranteed maximum price (“GMP”) contract is expected to be presented to the LSC Board of Trustees for consideration of approval in November or December 2017. Construction for the East Aldine Satellite Center and AISD Early College Facility is expected to be complete in the summer of 2019. Relocate Electrical Service Underground: The service cut over occurred over the weekend of May 19 – 21. The old CenterPoint transformer has been removed and the contractor is currently removing the old overhead power lines and related equipment. Grounds repairs should be completed within 4 weeks. Central Plant Renovations: Project final price negotiations have been terminated with the awarded contractor. The College is in the planning process of developing another competitive bidding event for this project. A revised expected completion timeframe is forthcoming. South Entrance Drive: A final executed contract has been issued to Lazer Construction Company and field mobilization has commenced. Initial focus will be on clearing the roadway site and the detention pond excavation. Coordination efforts between the new entrance and the SH 249 expansion continue. CenterPoint overhead and underground work is nearing completion. Science and Innovation Building: The construction of the domestic and sanitary water service by the local municipal utility district (“MUD”) is ongoing and affecting the ability to complete construction of the building which otherwise is nearing substantial completion. That delay and the installation of the geological wall exhibit area are very likely to delay occupancy until after the start of Fall 2017 classes. Buildings 12 & 13 Entrance Canopy and Parking: The College, at the request of the Business Park Association, is in the process of contract finalization for the performance of a traffic impact study. This study is a pre-requisite to obtaining project authorization by the Business Park Association. Library Remodel, Building 12 Level 8: Project final price negotiations have been terminated with the awarded contractor. The College is in the planning process of developing another competitive bidding event for this project. A revised expected completion timeframe will be forthcoming. Kitchen Removal, Commons Building Level 1: Project final price negotiations have been terminated with the awarded contractor. The College is in the planning process of developing another competitive bidding event for this project. A revised expected completion timeframe will be forthcoming. Satellite center mass communication upgrades are complete. Security and mass notification upgrades at main campuses will be bid and contracted in two phases. The bid has been put on hold until further notice. 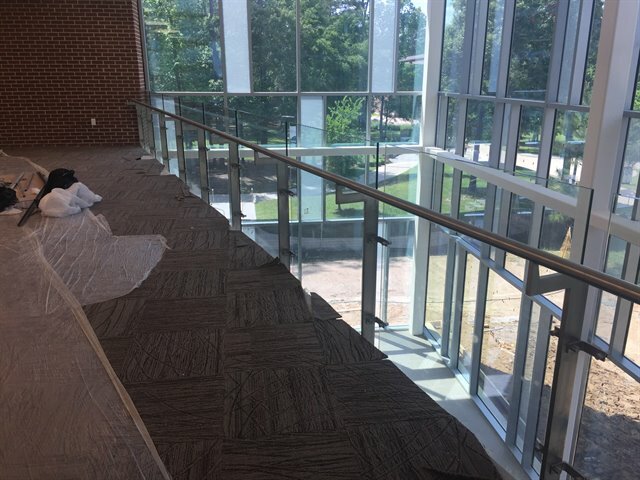 Center for Academic and Student Engagement Building: Final painting, door hanging, ceiling tile installation, folding partitions nearing completion in areas B and C. Security and A/V installation is progressing. Elevator trim outs are complete awaiting State inspection. Permanent gas service is due to start. Test and balancing is starting and commissioning of mechanical systems continues. Fire alarm testing is in progress. Building is close to being under air conditioning control. Movable furniture is scheduled for delivery in mid-May. Chiller water circulation is now operational to the Central Plant. Project is due to be substantially complete late June 2017. 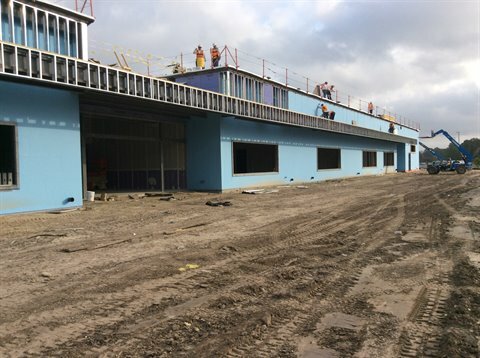 LSC-Cypress Center Workforce Expansion: Waterproofing of exterior walls is near completion and masonry has started. Ductwork and electrical work continues in both the building addition and renovated existing spaces. Furniture for the project is on order. Project is still tracking to be substantially complete by mid-August 2017. LSC-Westway Park Technology Center: Project final price negotiations have been terminated with the awarded contractor. The College is in the planning process of developing another competitive bidding event for this project. A revised expected completion timeframe is forthcoming. Student Services Center Expansion: Final exterior metal panel installation is underway. Commissioning coordination in progress. Temporary Certificate of Occupancy obtained. Furniture and equipment installation proceeding. Substantial Completion pending finish of critical items by contractor; preparation for final punch list underway. Final installation of building items arriving late but will occur at end of May. Kingwood Pilot Plant: Preconstruction services complete. Final price and scope negotiations for the Guaranteed Maximum Price (“GMP”) proposal are ongoing with the awarded vendor. This facility is slated for an expected Spring 2018 opening. LSC-Process Technology Center: Exterior framing, sheathing, and waterproofing is nearing completion. Roofing continues. Level 1 and Level 2 interior framing nearing completion. Wall and above-ceiling mechanical, electrical and plumbing (“MEP”) is progressing and working to incorporate functional modifications to select areas. Furniture bids reviewed and a vendor is selected. Utility service to the site is currently underway. Project is due to be substantially complete by late-August 2017. Live Entertainment Technology Building: Obtained a temporary certificate of occupancy the general contractor working on follow up punch list items. The installation of A/V equipment is complete. Commissioning is underway. Construction & Skilled Trades Technology Center: Masonry, windows, and interior sheetrock nearing completion. Interior floor, ceiling and wall finishes are in progress. Final sitework (grading, sidewalks and landscape) have begun. Construction is expected to be substantially complete by early-July 2017. LSC-East Aldine Satellite Center: Architectural drawings for Aldine Independent School District (“AISD”) Early College need to be completed and rebid. Following the conclusion of the bid process, a revised guaranteed maximum price (“GMP”) contract is expected to be presented to the Board of Trustees for consideration of approval in August 2017. Construction for the East Aldine Satellite Center and AISD Early College Facility is expected to be complete in early 2019. Relocate Electrical Service Underground: The service cut over did not occur as planned for the week of March 13 because of the late delivery of electrical switches to the contractor. Two of three switches have arrived and been installed. The third switch is due any day and the cut over will occur in late May 2017. South Entrance Drive: Final price negotiations with the best value contractor are still ongoing. Campus personnel have been coordinating the new entrance and the SH 249 expansion projects. CenterPoint overhead and underground work is in progress. Science and Innovation Building: The interior and exterior are essentially complete, but construction of the domestic and sanitary water service by the local municipal utility district (“MUD”) and the installation of the geological wall exhibit area are going to delay occupancy until at least late Summer 2017. Library Remodel, Building 13 Level 8: Project final price negotiations have been terminated with the awarded contractor. The College is in the planning process of developing another competitive bidding event for this project. A revised expected completion timeframe is forthcoming. Kitchen Removal, Commons Building Level 1: Project final price negotiations have been terminated with the awarded contractor. The College is in the planning process of developing another competitive bidding event for this project. A revised expected completion timeframe is forthcoming. Center for Academic and Student Engagement Building: Metal panel installation is complete on the exterior of Area A. Permanent power is now available with painting, millwork, door hanging, ceiling tile installation nearing completion in class rooms. Audio/visual (“A/V”) installation on speaker work and support system of projectors is in progress. Elevators are now installed. Permanent gas to start up boilers and temporary air conditioning is nearing completion. Start-up and commissioning of mechanical and electrical equipment continues. Landscaping and tree planting is nearing completion. Movable furniture is on order and had to be rescheduled for delivery in mid-May. Chiller piping is now tied-in and cleaning of lines is complete. Project completion has been revised due to the permanent power delay until mid to late June 2017. 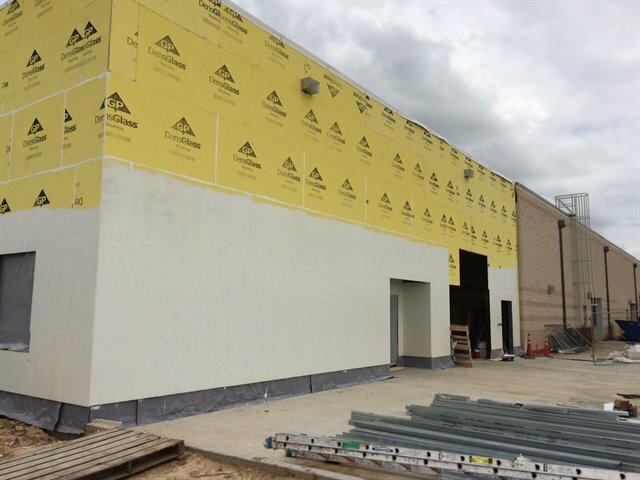 LSC-Cypress Center Expansion: Exterior walls are waterproofed and masonry has started. Mechanical and electrical work is progressing in both the building addition and renovated existing spaces. Furniture for the project is on order. Project is still tracking to be complete by the end of July 2017. LSC-Westway Park Technology Center: Project contract has been approved, but final price negotiations are still ongoing. Expected completion is Spring 2018. Student Services Center Expansion: Exterior metal panel installation is nearing completion. MEP is ready for above ceiling city inspection. Interior construction continues and guardrail installation is underway. Ceiling devices and fixtures are installed. Installation of floor tile, carpet, and wall tile is underway. Painting is in progress. Construction is expected to be complete by the end of April 2017. LSC-Process Technology Center: Exterior framing is complete, and sheathing and waterproofing continues. Roofing is underway. Level 1 interior framing continues. Wall and above-ceiling mechanical, electrical and plumbing (“MEP”) has been challenging, but is progressing. Furniture bids have been received and will be evaluated. Utility service to the site is currently underway. Construction is expected to be complete by late August 2017. Live Entertainment Technology Building: Commissioning is underway. A/V, furniture, and specialty equipment are on order. Construction & Skilled Trades Technology Center: MEP wall and overhead rough in, roofing and exterior wall waterproofing are complete. Masonry, windows, and interior sheetrock are in progress. 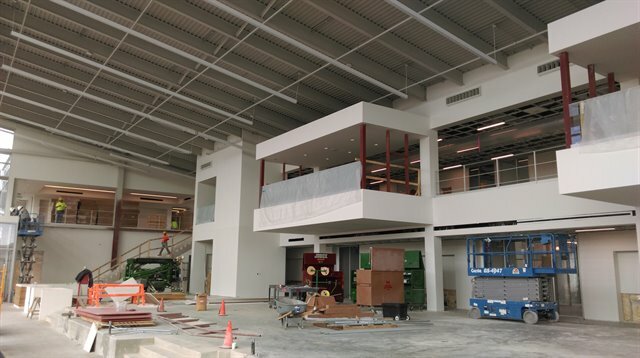 The Heating, Ventilation and Air Conditioning (“HVAC”) system has been started to condition the interior space and interior finishes have begun. Construction is expected to be complete in July 2017. LSC-East Aldine Center: Architectural drawings for Aldine Independent School District (“AISD”) Early College need to be completed and rebid. Following the conclusion of the bid process, a revised guaranteed maximum price (“GMP”) contract is expected to be presented to the Board of Trustees for consideration of approval in August. Construction for the East Aldine Satellite Center and AISD Early College is expected to be completed in early 2019. Relocate Electrical Service Underground: The service cut over did not occur as planned for the week of March 13 because of the late delivery of electrical switches to the contractor. Two of three switches have arrived and been installed. The third switch is due any day and the cut over will occur over two consecutive weekends. Construction is expected to be complete by the end of April 2017. Central Plant Renovations: The GMP contract is in process. Construction is expected to be complete in the third quarter of 2017. South Entrance Drive: Board of Trustees approval has been received. Negotiation with the successful bidder is in progress. Campus personnel have been coordinating the new entrance and the SH 249 expansion projects. Science and Innovation Building: The interior and exterior are nearly complete, but delays in construction of the domestic and sanitary water service by the local municipal utility district (“MUD”) and the installation of the geological wall exhibit area are going to delay occupancy until at least late Summer 2017. Buildings 12 & 13 Entrance Canopy and Parking: A traffic impact study has been requested from the business park association prior to them approving the project. Library Remodel, Building 13 Level 8: The GMP contract has been rejected due to non-agreement on final project price. The project team is working with the architect and Purchasing to prepare the construction documents to issue a competitive sealed proposal (“CSP”). The project schedule will be adjusted to accommodate this change. Kitchen Removal, Commons Building Level 1: Construction documents were issued for bid in March. Preparing the GMP contract for an anticipated submission to the Board of Trustees for consideration of approval at the June meeting. Construction is expected to be complete this summer. Center for Academic and Student Engagement Building: Exterior metal panel installation is in progress on Area A. Interior finishes work continues including painting, ceramic tile work in bathrooms, and light fixture installation in class rooms. Audio/visual (“A/V”) infrastructure installation is in progress. Permanent power is awaiting CenterPoint’s primary line installation. Commissioning of mechanical and electrical equipment is in progress. Surface parking is complete and final work is being done on the curbing and sidewalks. Landscaping work is underway. The Central Plant Addition interior work is finished. Furniture is on order and slated for delivery in late April. Chiller piping is now tied in and testing is progressing. Project completion is anticipated at the end of April 2017. 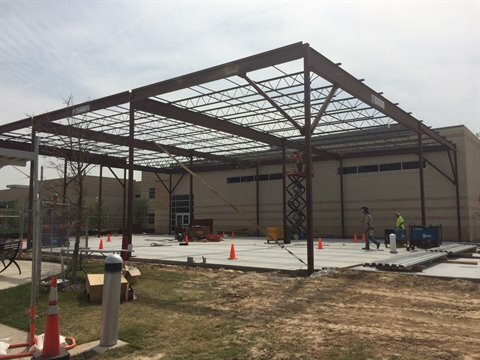 LSC-Cypress Center Expansion: Structural steel erection is near completion. Mechanical and electrical infrastructure routings have been defined to service the new building addition. Exterior parking paving is complete. Furniture for the project is on order. The project is still tracking to be complete by the end of July 2017. LSC-Westway Park Technology Center: Project contract has been approved. Mobilization of the project is in progress. The submittal process has commenced with contractors and vendors. Primary initial focus will be on the Data Center room. Construction is expected to be complete for Spring 2018 classes. 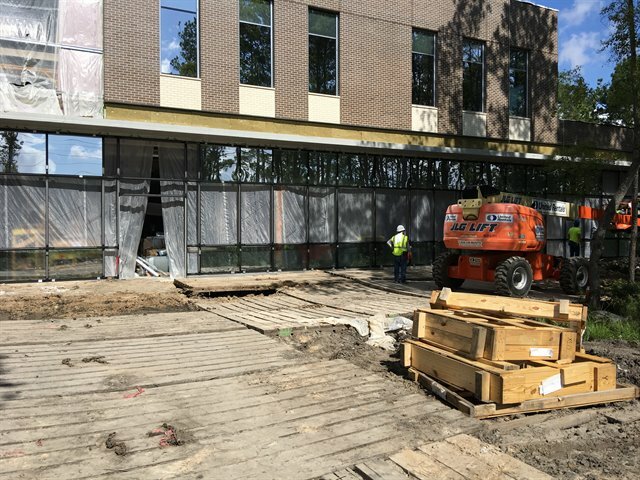 Student Services Center Expansion: Exterior wall construction is in progress. Mechanical, Electrical and Plumbing (“MEP”) installation is nearing completion. Interior wall and finish preparation is beginning. Furniture and A/V equipment has been ordered. Construction is expected to be complete in April 2017. 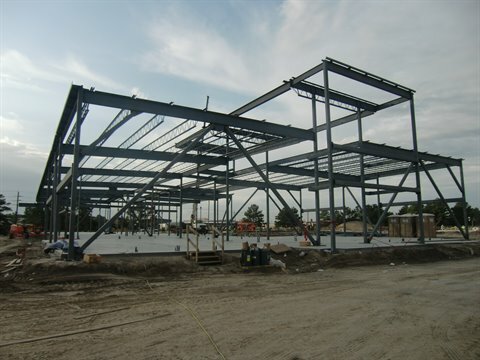 LSC-Process Technology Center: Structural steel framing is complete. Level 2 concrete pour is complete. Roof decking is complete. Site paving is nearing completion. Mechanical rough-in has started. Furniture and graphics bid packages are in progress. Construction is expected to be complete in August 2017. LSC-Conroe Center: Final closeout for project is underway. Live Entertainment Technology Building: Construction is complete. Commissioning and punch lists are being worked. A/V and specialty equipment are on order. Construction & Skilled Trades Technology Center: Exterior wall, framing, sheathing, and insulation are complete. MEP wall and overhead rough in, roofing and exterior wall waterproofing are in progress. Masonry, windows and interior sheetrock have begun. Construction is expected to be complete in July 2017. LSC-East Aldine Center and Aldine Independent School District (“AISD”) MacArthur Early College Facility (“Facility”): Architectural drawings for the AISD Facility need to be completed and rebid. Following the conclusion of the bid process, a revised guaranteed maximum price (“GMP”) contract is expected to go before the Board in August. Construction for the East Aldine Satellite Center and AISD Facility are expected to be complete in early 2019. Relocate Electrical Service Underground: Electrical underground conduit installation is complete. The service cut over is planned for the week of March 13. Constructionis expected to be complete in April 2017. Central Plant Renovations: The GMP contract is in process. Construction is expected to be complete in mid-2017. South Entrance Drive: The Interview Review Committee convened to interview the bidders. Campus personnel have been coordinating the new entrance and the S.H. 249 expansion projects. Dr. Nutt publicizes weekly updates to students, faculty and staff regarding the S.H. 249 expansion and the impact it may have on their travels to and from the campus. Science and Innovation Building: The interior and exterior finishes are nearing completion. Completion of the remaining work is dependent on completion of construction of the domestic and sanitary water service from the local MUD, the installation of 20 owner-supplied fume hoods and the installation of the geological wall exhibit area. Due to a few recent delays, this project is now anticipated to be complete by Summer 2017, a change from the original April completion date. Buildings 12 & 13 Entrance Canopy and Parking: A traffic impact study has been requested from the business park association prior to them approving the project. The study is currently underway. Library Remodel, Building 13 Level 8: Construction documents have been bid. The furniture package is out to bid. The GMP contract is anticipated to be presented to the Board in June, but this may occur later. Construction is expected to be complete in October 2017. Kitchen Removal, Commons Building Level 1: Construction documents were issued for bid in March. The GMP contract is anticipated to be presented to the Board in June. Construction is expected to be complete this summer. Center for Academic and Student Engagement Building: Exterior masonry work is nearing completion. Interior finishes are in progress with tile and toilets nearing completion. Ceiling grid installation is progressing and interior painting is fully underway. Permanent power is near completion. Overall project construction is expected to be complete in April 2017. LSC-Westway Park Technology Center: The CMAR contract is being recommended for consideration of approval at the March 2017 Board of Trustees meeting. Construction is expected to be complete during the Fall of 2017. Student Services Center Expansion: Structural steel is complete. Exterior envelope is in progress. MEP rough in is nearing completion. Construction is expected to be complete in March 2017. LSC-Process Technology Center: Structural steel erection, site utilities, and site paving are nearing completion. Furniture and Graphics bid packages are in progress. Construction is expected to be complete in August 2017. 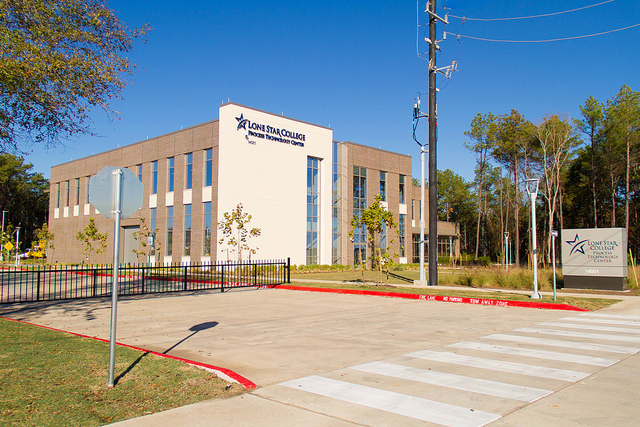 LSC-Conroe Center: Commissioning efforts are underway. Closeout documentation is being compiled for the College. Live Entertainment Technology Building:Masonry is complete. HVAC and electrical equipment have been installed. Audio equipment, pipe and drapes are out for bid. Construction is expected to be complete in March 2017. 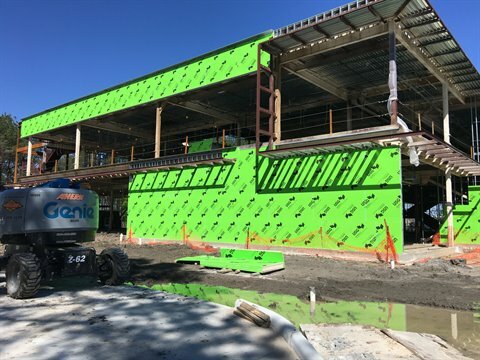 Construction & Skilled Trades Technology Center: Exterior wall, framing, sheathing, insulation and MEP wall and overhead rough in are in progress. Roofing and exterior wall waterproofing has begun. Construction is expected to be complete in July 2017. LSC-East Aldine Center: Architectural drawings are complete. Meetings with the Construction Manager at Risk to discuss drawings are upcoming. Construction is expected to be complete in May 2018. Relocate Electrical Service Underground: Electrical underground conduit installation is underway. Construction is expected to be complete in April 2017. Central Plant Renovations: The GMP contract will be executed soon. Construction is expected to be complete in mid-2017. South Entrance Drive: Bids have been received and evaluated. It is anticipated that the project will be presented for consideration of approval at the March Board of Trustees meeting. Coordination meetings have been held with the HCTRA stakeholders regarding where the new entrance drive will tie into S. H. 249. Science and Innovation Building: The exterior building finishes are nearing completion. Most interior walls and the floors and ceilings are finished. Architectural casework and lab benches are being installed. Specialty equipment continues to arrive and be integrated into the facility. This project is expected to be complete in May 2017. Buildings 12 & 13 Entrance Canopy and Parking: A traffic impact study has been requested from the business park association prior to them approving the project. That study is currently underway. completion. Overall project construction is expected to be complete in April 2017.
first week in February. This project is still on track to be complete in June 2017. LSC-Westway Park Technology Center: The CMAR contract will be presented for consideration of approval at the March 2017 Board of Trustees meeting. Construction is expected to be complete during Spring 2018. Student Services Center Expansion: Roofing is complete. All framing and MEP rough in is in progress. Construction is expected to be complete in March 2017. LSC-Process Technology Center: Structural steel erection, site utilities, and site paving are in progress. Construction is expected to be complete in August 2017. 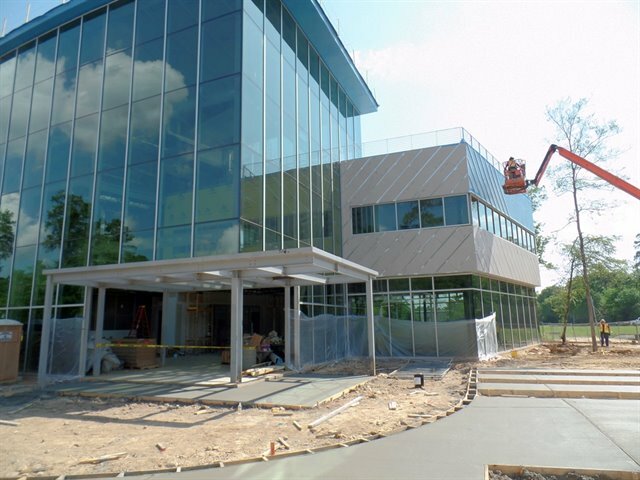 LSC-Conroe Center: Construction is substantially complete. Installation of owner furnished equipment is underway. Punch list items are being addressed and final preparations for the Grand Opening Event on January 19, 2017 are being completed. Live Entertainment Technology Building Expansion: Steel erection and exterior weather proofing is complete. Masonry has begun. Installation of interior utilities and stud walls are underway. Construction is expected to be complete in March 2017. Construction & Skilled Trades Technology Center: Structural steel and roof decking is complete, and the exterior wall framing, and MEP wall and overhead rough in are in progress. Construction is expected to be complete in July 2017. LSC-East Aldine Center: It is anticipated that the GMP will be presented for consideration of approval at the April 2017 Board of Trustees meeting. Construction is expected to be complete in May 2018. Relocate Electrical Service Underground: Electrical underground conduit is underway. Construction is expected to be complete in April 2017. Central Plant Renovations: The GMP contract is waiting on LSC execution. Construction is expected to be complete in mid-2017. LSC-Health Science Building 3rd Floor Buildout: The project has been completed and an open house was conducted on January 12. South Entrance Drive: Bids have been received and evaluated. It is anticipated that the project will be presented for consideration of approval at the March Board of Trustees meeting. Science and Innovation Building: The building is enclosed. Development of interior utilities and partitioning continue. Specialty equipment is arriving and being integrated into the construction. This project is expected to be complete in May 2017. Building 12 & 13 Entrance Canopy and Parking: The work site has been cleared and layout is underway for the underground utilities. LSC-Cypress Center Expansion: Construction will begin in December and is expected to be complete in June 2017. LSC-Westway Park Technology Center: The GMP is being presented for consideration of approval at the December 2016 Board of Trustees meeting. Construction is expected to be complete in summer 2017. Student Services Center Expansion: Structural steel erection is complete; roofing is in progress. Construction is expected to be complete in February 2017. LSC-Process Technology Center: Foundation, underground site utilities, and site paving are in progress. Construction is expected to be complete in August 2017. LSC-Conroe Center: Commissioning and utility connections for equipment are in progress. Construction is expected to be complete in January 2017. Live Entertainment Technology Building: Building slab is complete; metal building erection is in progress. Construction is expected to be complete in March 2017. Construction & Skilled Trades Technology Center: Site utilities and paving are complete. Structural steel, roof decking, exterior wall framing, and interior piping are in progress. Construction is expected to be complete in July 2017. Relocate Electrical Service Underground: The Contractor is mobilizing. Construction is expected to be complete in April 2017. Central Plant Renovations: The GMP contract is being presented for consideration of approval at the December 2016 Board of Trustees meeting. Construction is expected to be complete in May 2017. 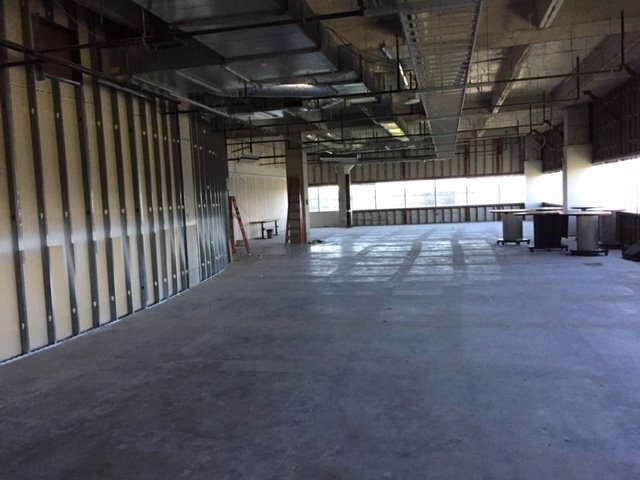 LSC-Health Science Building - 3rd Floor Buildout: Buildout of Surgical Tech area is expected to be complete in December 2016. South Entrance Drive: Bids have been received and are being evaluated. It is anticipated that the project will be presented for consideration of approval at the February 2017 Board of Trustees meeting. Construction is expected to be complete in fall 2017. Science and Innovation Building: Roofing and exterior sheathing are complete. Erection of the front glass curtainwall, interior overhead MEP work, and partition framing are in progress. Construction is expected to be complete in May 2017. Building 12 & 13 Entrance Canopy and Parking: Construction will begin in December and is scheduled for an April 2017 completion. Satellite Center mass communication upgrades are complete. Security and mass notification upgrades at main campuses will be bid and contracted in two phases. They will be presented for consideration of approval at the February and March 2017 Board of Trustees meetings, with a fall 2017 completion. Center for Academic and Student Engagement Building: The roofing, exterior sheathing, windows, and mechanical/electrical/plumbing rough-ins are complete. Glass curtain wall, brick, and interior drywall are in progress. Overall project construction is expected to be complete in March 2017. LSC-Cypress Center Expansion: Construction will begin in December and is expected to be complete in summer 2017. LSC-Westway Park Technology Center: The GMP will be presented for consideration of approval at the December 2016 Board of Trustees meeting. Construction is expected to be complete in summer 2017. Student Services Center Expansion: Structural steel is in progress. Construction is expected to be complete in February 2017. LSC-Process Technology Center: Foundation work is in progress. Construction is expected to be complete in August 2017. 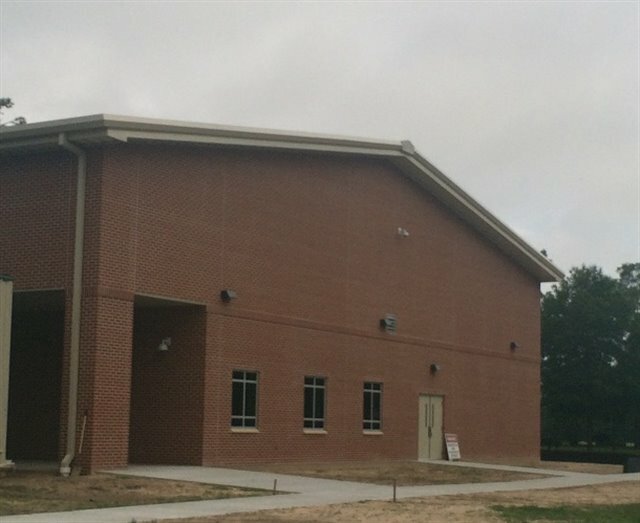 LSC-Conroe Satellite Center: Mechanical and electrical equipment, as well as stairs and sidewalks, are complete. Interior walls are complete and finish work is in progress. Construction is expected to be complete in January 2017. Live Entertainment Technology Building: Underground utility installation nearing completion. The building slab will be placed in early November. Construction is expected to be complete in March 2017. 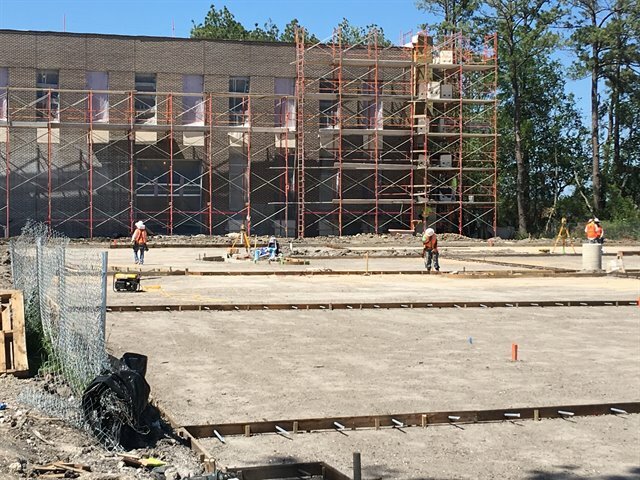 Construction & Skilled Trades Technology Center: Foundation and detention pond are complete, while building slab and site utilities are in progress. Construction is expected to be complete in July 2017. LSC-East Aldine Center: The construction documents have been completed and negotiations with Aldine ISD on the associated Interlocal Agreement are in progress. Relocate Electrical Service Underground: The GMP is being presented for consideration of approval at the November 2016 Board of Trustees meeting. Construction is expected to be complete in April 2017. Central Plant Renovations: Bidding is in progress. It is anticipated that the GMP will be presented for approval at the December 2016 Board of Trustees meeting. Construction is expected to be complete in May 2017. LSC-Health Science Building - 3rd Floor Buildout: Surgical equipment is being installed on the second floor, with completion anticipated in November 2016. South Entrance Drive: Bidding is in progress. It is anticipated that the GMP will be presented for consideration of approval at the February 2017 Board of Trustees meeting, with a fall 2017 construction completion. Science and Innovation Building: Steel erection and floor slabs are complete. Roofing, exterior walls, and mechanical, electrical, and plumbing work are in progress. Construction is expected to be complete in May 2017. Building 12 & 13 Entrance Canopy and Parking: Construction will begin in November and is scheduled for a March 2017 completion. Center for Academic and Student Engagement Building: The roof deck is complete, and the exterior wall and glass are in progress. Overall project construction is expected to be complete in March 2017. LSC-Westway Park Technology Center: Subcontractor bidding is in progress. It is anticipated that the GMP will be presented for consideration of approval at the November 2016 Board of Trustees meeting. Construction is expected to be complete in July 2017. Student Services Center Expansion: Foundation work is in progress. Construction is expected to be complete in January 2017. LSC-Process Technology Center: Tree removal and site clearing is in progress. The groundbreaking ceremony was held October 4, 2016. Construction is expected to be complete in August 2017. 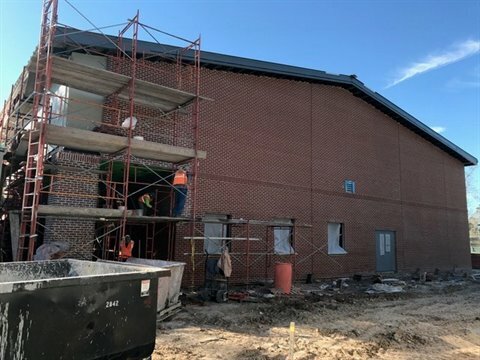 LSC-Conroe Center: Roofing and brick installation is nearing completion. Utility installation and interior construction are in progress. Construction is expected to be complete in January 2017. Live Entertainment Technology Building: Existing utility surveying is complete, and the building pad is in progress. Construction is expected to be complete in March 2017. Construction & Skilled Trades Technology Center: Foundation and building slab are in progress. Construction is expected to be complete in July 2017. LSC-East Aldine Center: Construction documents are complete and it is anticipated that the GMP will be presented for consideration of approval at the February 2017 Board of Trustees meeting. Construction is expected to be complete in March 2018. Relocate Electrical Service Underground: Construction documents are being bid and the permit has been received. It is anticipated that the GMP will be presented for approval at the November 2016 Board of Trustees meeting. Construction is expected to be complete in April 2017. LSC-Health Science Building - 3rd Floor Buildout: Third floor construction is complete. Associated work on second floor is in progress and is expected to be complete in November 2016. Science and Innovation Center: Steel erection is nearing completion. Construction is expected to be complete in May 2017. Center for Academic and Student Engagement Building: HVAC duct installation is nearing completion and the exterior wall and roof deck are in progress. CASA renovations and south parking lot were complete for the start of the fall semester. Overall project construction is expected to be complete in March 2017. LSC-Westway Park Technology Center: Construction documents are complete. It is anticipated that the GMP will be presented for consideration of approval at the November 2016 Board of Trustees meeting. Construction is expected to be complete in July 2017. Student Services Center Expansion: Earthwork and building pad are complete. Construction is expected to be complete in January 2017. 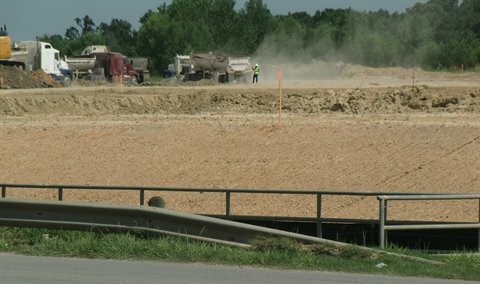 LSC-Process Technology Center: Site clearing is in progress. Construction is expected to be complete in August 2017. 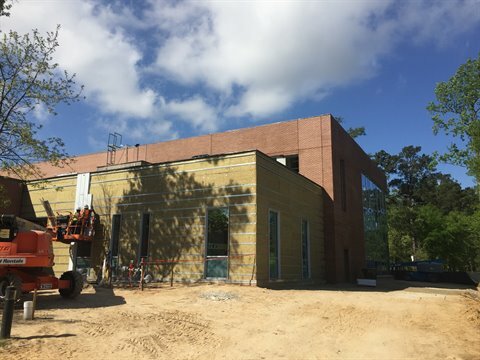 LSC-Conroe Center: Exterior walls are complete. Roofing and interior construction are in progress. Construction is expected to be complete in January 2017. Live Entertainment Technology Building: Site clearing is complete. Earthwork is in progress. Construction is expected to be complete in March 2017. LSC-Magnolia Center: Site purchase is being negotiated. Construction & Skilled Trades Technology Center: Sitework has begun. Construction is expected to be complete in July 2017. LSC-East Aldine Center: Construction documents are complete. It is anticipated that the GMP will be presented for consideration of approval at the November 2016 Board of Trustees meeting. Construction is expected to be complete in December 2017. LSC-Transportation and Logistics Institute: Site purchase is being negotiated. Relocate Electrical Service Underground: Construction documents are in progress and it is anticipated that the GMP will be presented for approval at the November 2016 Board of Trustees meeting. Construction is expected to be complete in March 2017. LSC-Health Science Building - 3rd Floor Buildout: Construction was complete for the start of the fall semester. Science and Innovation Center: Steel erection is in progress. Construction is expected to be complete in May 2017. Center for Academic and Student Engagement Building: Building slab and second floor have been placed and structural steel erection is complete. Masonry walls on Central Plant are complete. Construction continues on schedule and is expected to be complete in March 2017. LSC-Cypress Center Expansion: Construction is scheduled to begin in November 2016 simultaneous with the Westway Park Technology Center and be complete in May 2017. LSC-Westway Park Technology Center: Construction documents are in progress. It is anticipated that the GMP will be presented for consideration of approval at the November 2016 Board of Trustees meeting. Construction is expected to be complete in July 2017. Student Services Center Expansion: Earthwork and building pad construction are in progress. LSC-Process Technology Center: The GMP was approved at the June 2016 Board of Trustees meeting and the contract is being finalized. LSC-Conroe Satellite Center: Building foundation is complete and exterior walls are in progress. Construction is expected to be complete in January 2017. Live Entertainment Technology Building: The GMP was approved at the June 2016 Board of Trustees meeting and the Contractor has mobilized. Construction is expected to be complete in March 2017. LSC-Magnolia Center: Site alternatives continue to be evaluated. Construction & Skilled Trades Technology Center: The GMP was approved at the June 2016 Board of Trustees meeting. Construction is expected to be complete in July 2017. LSC-East Aldine Center: The Aldine ISD Early College Facility Design Development documents are in progress and it is anticipated that the GMP will be presented for consideration of approval at the November 2016 Board of Trustees meeting. Construction of both projects is expected to be complete in November 2017. LSC-Transportation and Logistics Institute: Site purchase alternatives continue to be evaluated. Relocate Electrical Service Underground: Design Development is in progress and it is anticipated that the GMP will be presented for approval at the November 2016 Board of Trustees meeting. Construction is expected to be complete in March 2017. Health Science Building - 3rd Floor Buildout: Construction is progressing on schedule and is expected to be complete in August 2016. Science and Innovation Center: Building slab is nearing completion. Construction is expected to be complete in May 2017. Classroom Renovations in Building 12, Level 7: Construction is progressing on schedule and is expected to be complete in August 2016. Center for Academic and Student Engagement Building: Building slab has been placed and structural steel erection is in progress. Masonry walls on Central Plant are in progress. Construction is expected to be complete in March 2017. 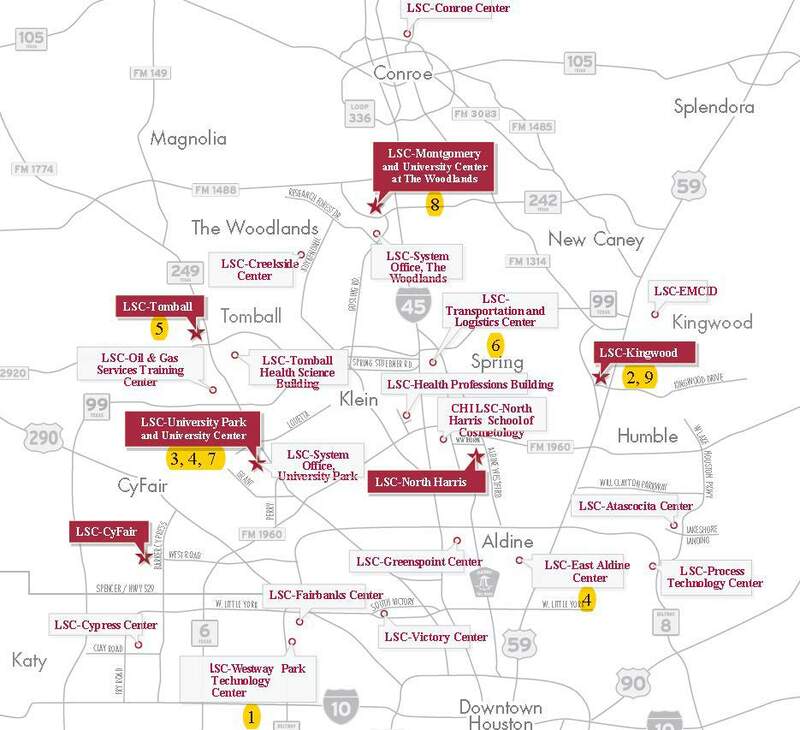 LSC-Cypress Center Expansion: The Guaranteed Maximum Price (“GMP”) is being presented for consideration of approval at the June 2016 Board of Trustees meeting. Construction is expected to be complete in March 2017. LSC-Westway Park Technology Center: Construction documents are in progress. It is anticipated that the GMP will be presented for consideration of approval at the September 2016 Board of Trustees meeting. Construction is expected to be complete in May 2017. Student Services Center Expansion: Site utilities are in progress. Construction is expected to be complete in January 2017. LSC-Process Technology Center: The GMP is being presented for consideration of approval at the June 2016 Board of Trustees meeting. Construction is expected to be complete in July 2017. LSC-Conroe Center: Building foundation is in progress. Construction is expected to be complete in January 2017. LSC-Magnolia Center: Negotiations on a potential land tract are underway. Construction and Skilled Trades Technology Center: The GMP is being presented for approval at the June 2016 Board of Trustees meeting. Construction is expected to be complete in June 2017. LSC-East Aldine Center: The Aldine ISD Early College Facility Design Development documents are in progress and it is anticipated that the GMP will be presented for consideration of approval at the October 2016 Board of Trustees meeting. Construction of both projects is expected to be complete in November 2017. LSC-Transportation and Logistics Institute: Negotiations on a potential land tract are underway. Relocate Electrical Service Underground: Design Development documents are in progress and it is anticipated that the GMP will be presented for approval at the September 2016 Board of Trustees meeting. Construction is expected to be complete in January 2017. Health Science Building - 3rd Floor Build out: Interior partitions and mechanical, electrical, and plumbing overhead work in progress. Construction is expected to be complete in August 2016. Science and Innovation Center: Underground utility installation is in progress. Construction is expected to be complete in May 2017. Workforce Assessment Center: Construction documents are in progress. It is anticipated that the GMP will be presented for consideration of approval at the September 2016 Board of Trustees meeting. Construction of this interior renovation project is expected to be complete in December 2016. Construction continues on the new Center for Academic and Student Engagement Building at Lone Star College-CyFair. 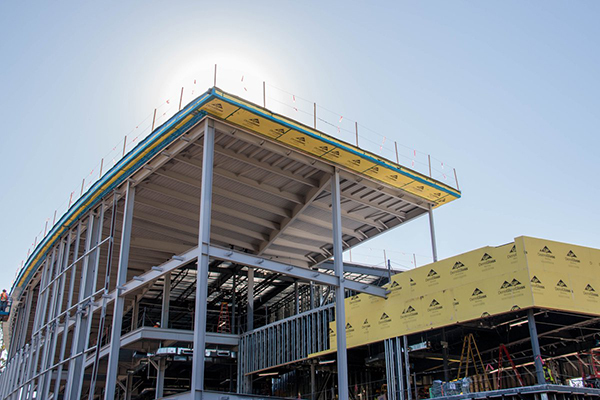 Constructed on 15 acres, the new building will not only house new faculty and dean suites, but instructional and student spaces, 750 parking spaces for students and staff and a three-level Learning Garden. The groundbreaking for LSC-University Park’s new Center for Science & Innovation begins at 10 a.m. on Thursday, April 28, near the intersection of University Park Campus Drive and Compaq Center Drive West. This innovative facility will provide students with a state-of-the-art learning environment and will encourage more students to consider STEM careers. Designed by Kirksey Architecture, the three-story structure will have 12 science labs for chemistry and biology, an “innovation space” with a tutoring area and a sprawling geology teaching wall. In addition, students and visitors alike can view celestial objects through a variety of telescopes from the observation deck atop the Center of Science & Innovation. LSC-University Park President Shah Ardalan said the 50,000-square-foot building, due to open in Fall 2017, will help the College meet the academic needs of its rapidly growing population. LSC-CyFair broke ground on its new instructional building March 7. The 75,000 square foot facility will be built between the center for academic affairs and student affairs building and house 16 classrooms, 3 multipurpose class rooms, 4 computer classrooms, 2 prototype computer classroom and 1 open computer lab. The building is expected to open in spring 2017 and feature a 3 level landscaped outdoor space, known as the learning garden. 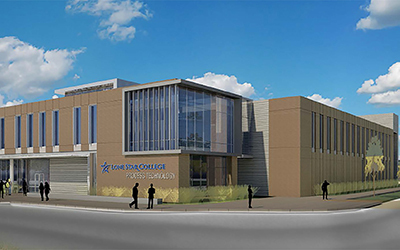 LSC-University Park plans to break ground on its new 50,000 square foot science building in March 2016. The LSCS Board of Trustees approved the pending design during its February 2016 meeting. The three-story building will house 12 science labs and be equipped with the latest technology and is expected to be completed for the start of fall 2017 classes. The LSC-Westway Park Technology Center location has been finalized. The center will be at 5060 Westway Park Boulevard. LSC will initially build out 50,000 square foot of the 130,000 square foot facility which is expected to open late spring 2017. The design development of the LSC-Process Technology Center has been completed. The 50,000 square foot center is located on 8.3 acres in Generation Park on Lockwood Drive across from Summer Creek High School. The facility is slated to open in fall 2017. Until that time, LSC-Kingwood will start the Process Technology Associate of Applied Science degree in January 2017 at the LSC-Atascocita Center.